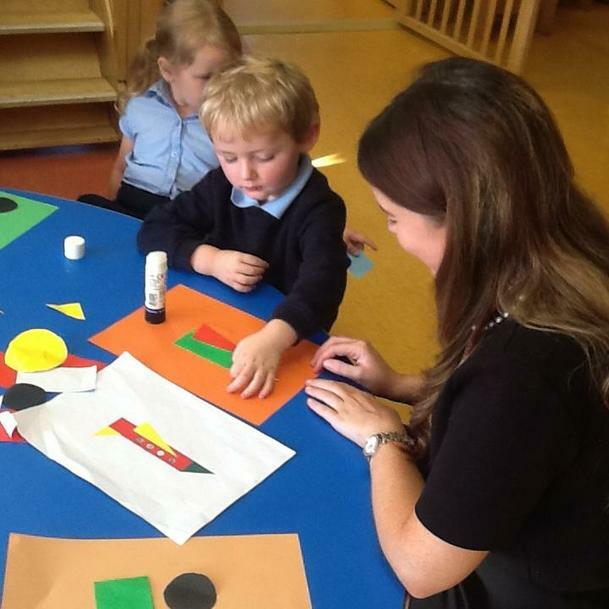 A big welcome back to all our children and families and a big welcome to all our new children and families! 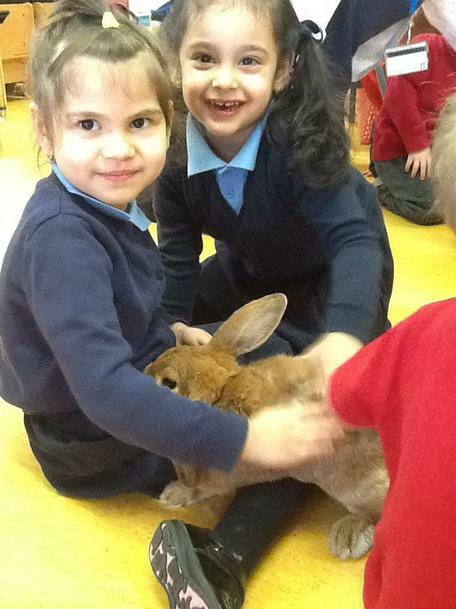 We hope you all had a wonderful Summer and we are very excited about all the things this year has to offer. 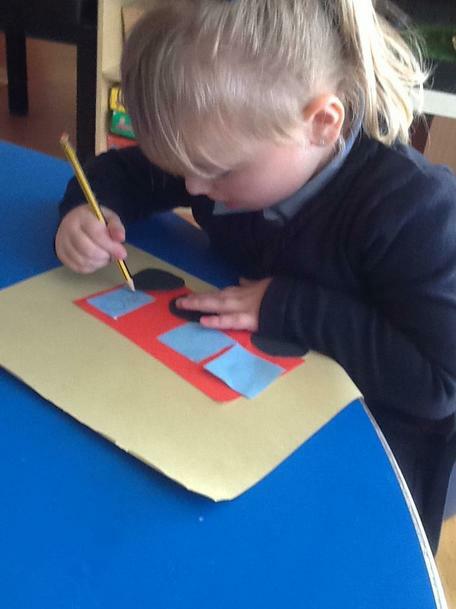 This term we will be learning all about 'Ourselves' and 'New beginnings' followed by our 'Autumn' topic after half term. 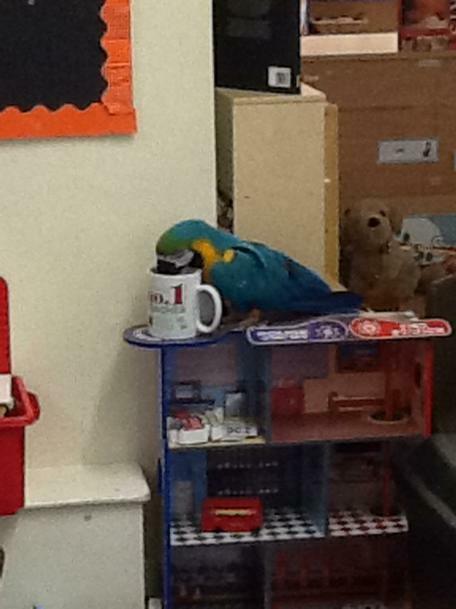 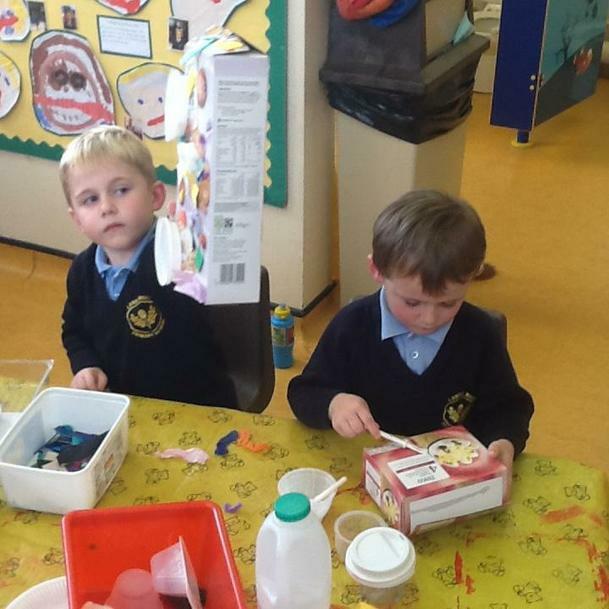 We will update our webpage with lots of photographs and videos of our learning, as well as top tips to help consolidate this learning at home. 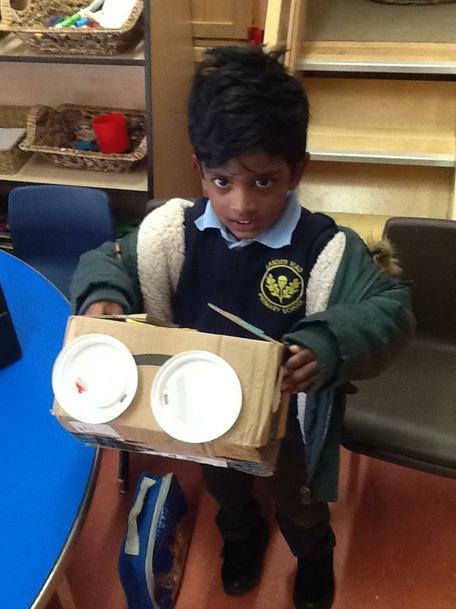 Road Safey Games and videos for children to access to educate them about road safety and how to stay safe inside a car. 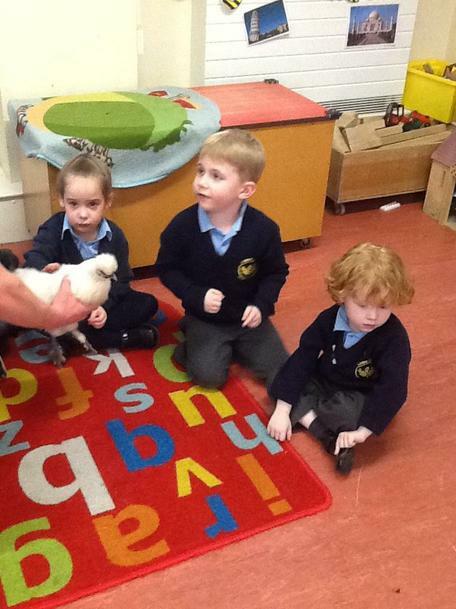 Do all animals lay eggs? 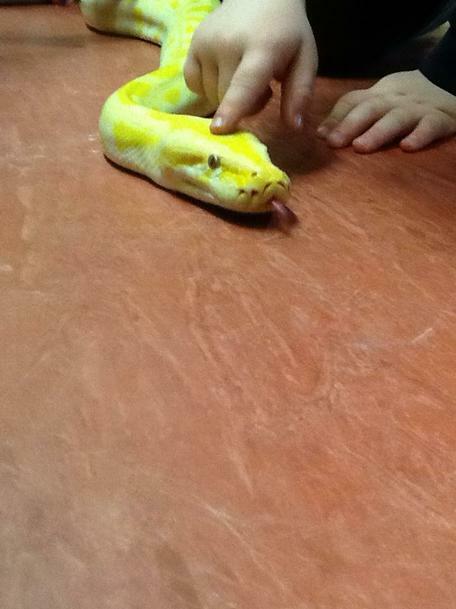 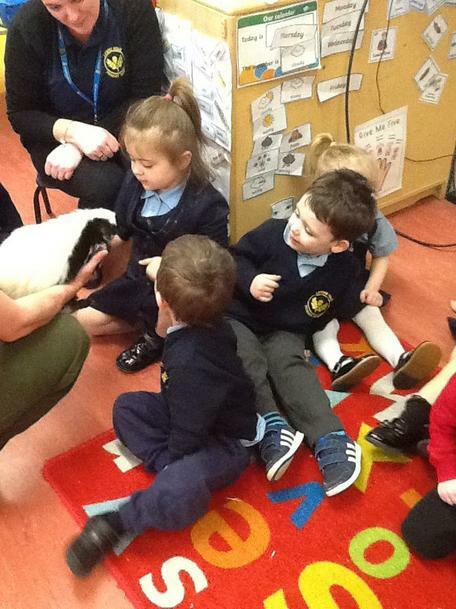 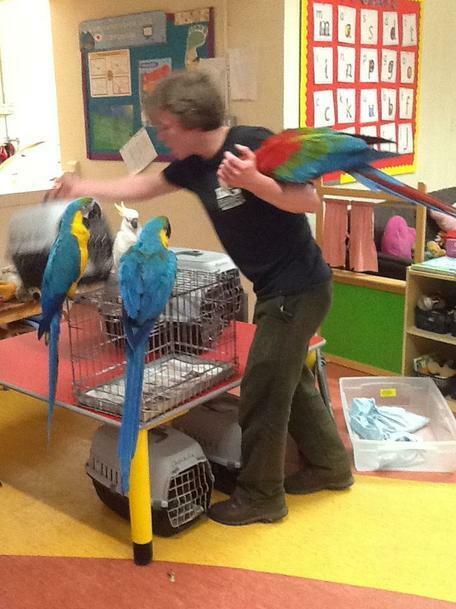 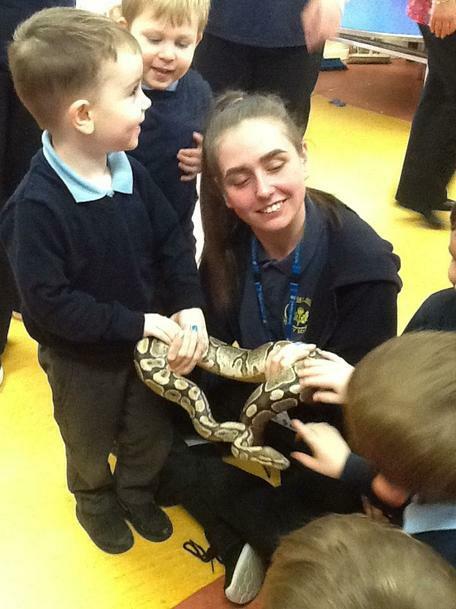 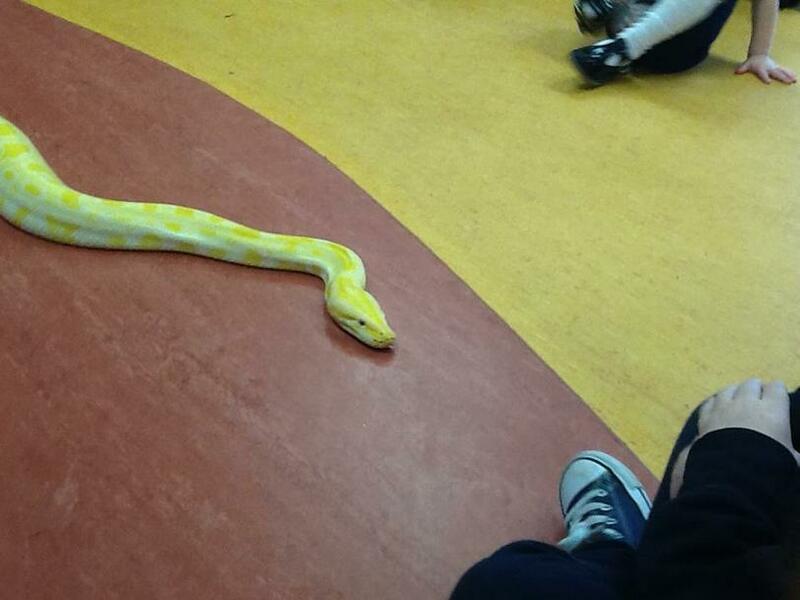 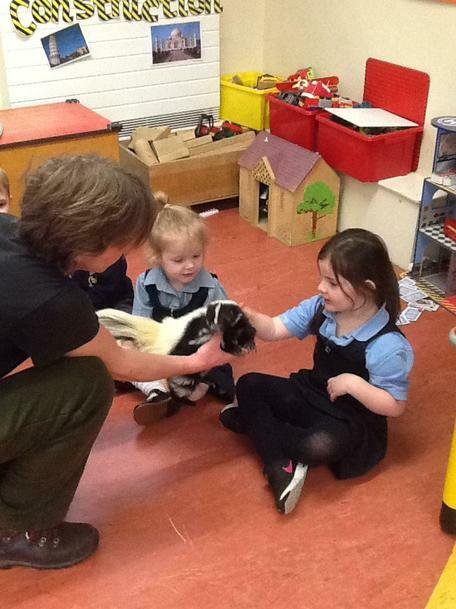 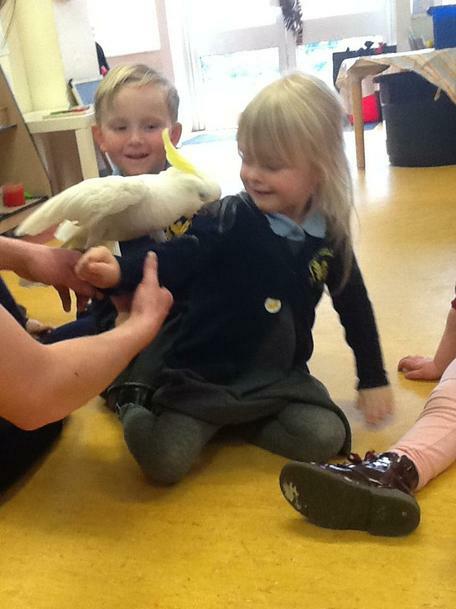 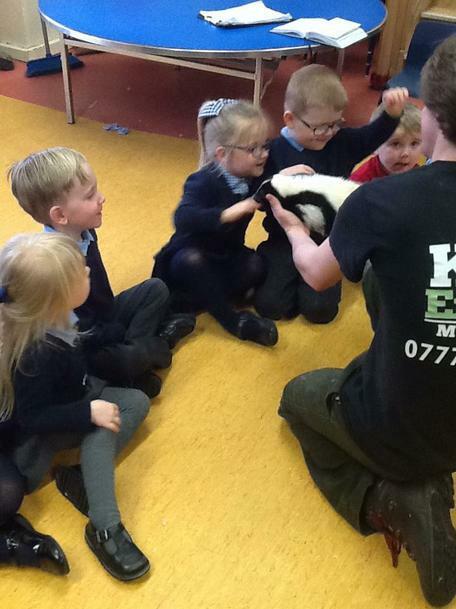 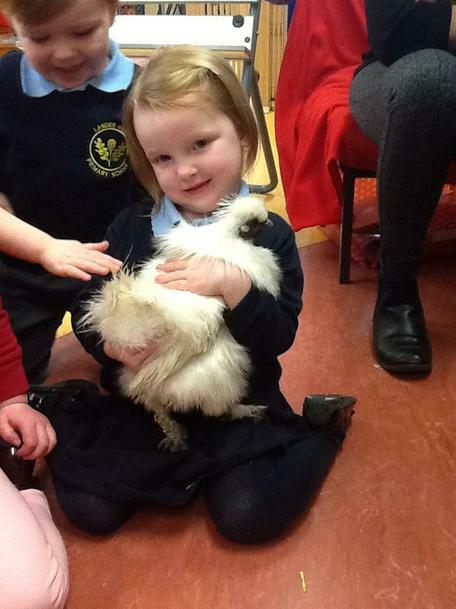 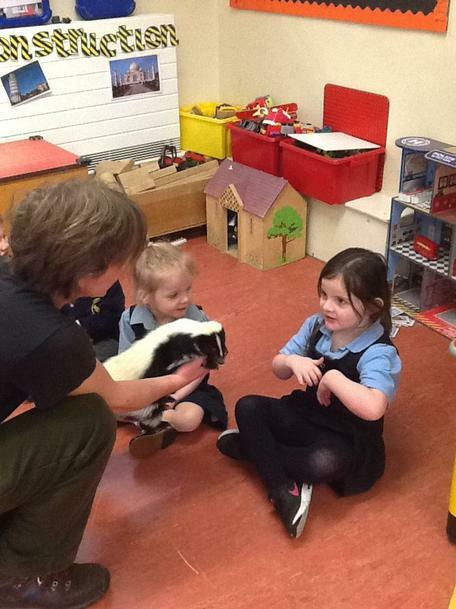 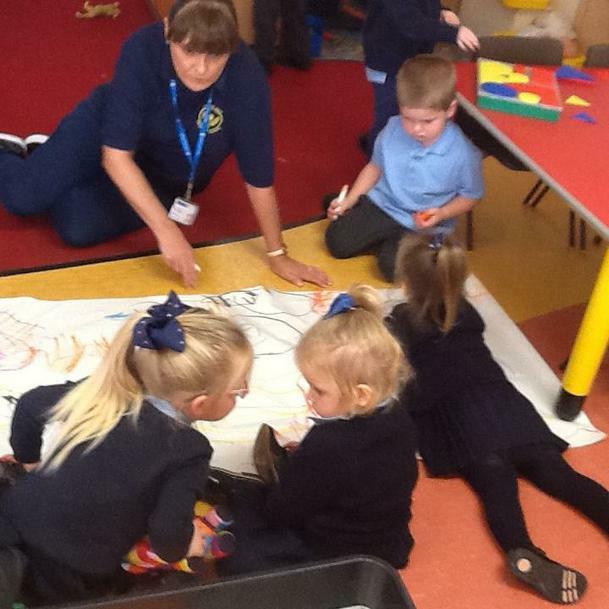 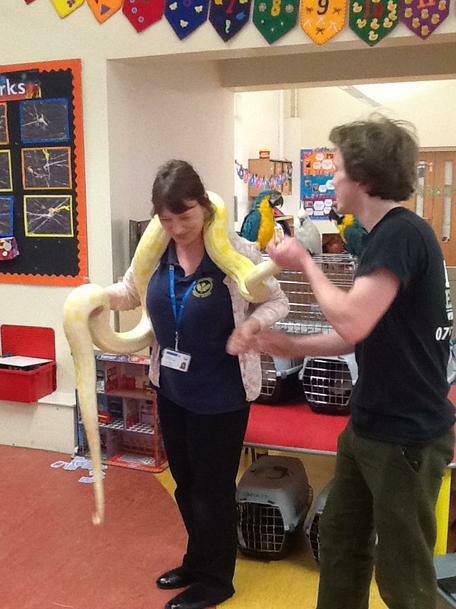 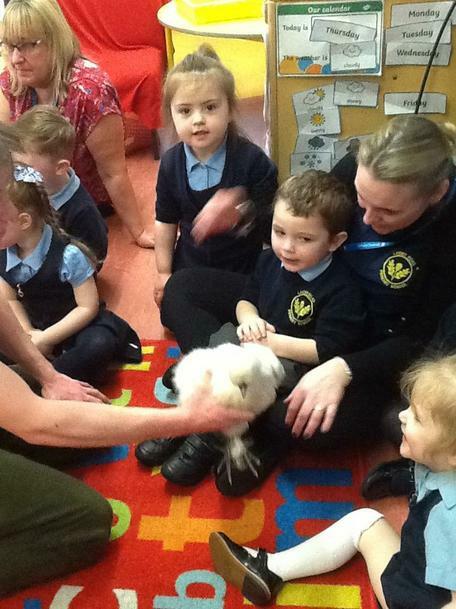 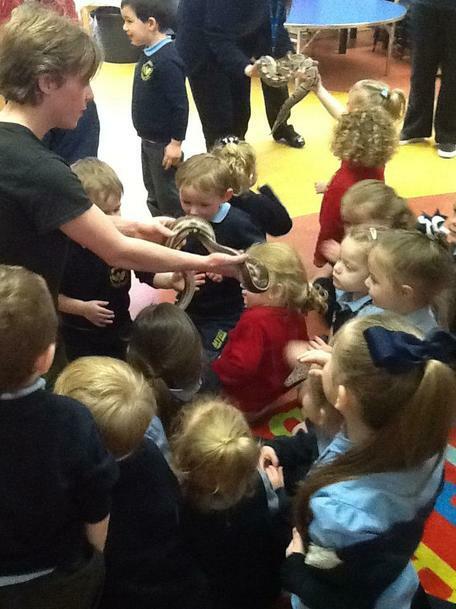 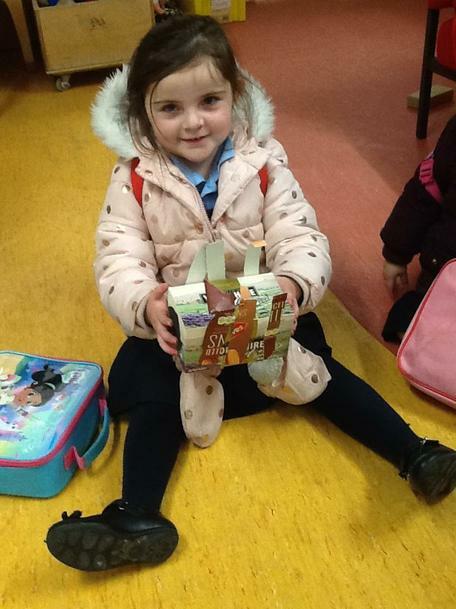 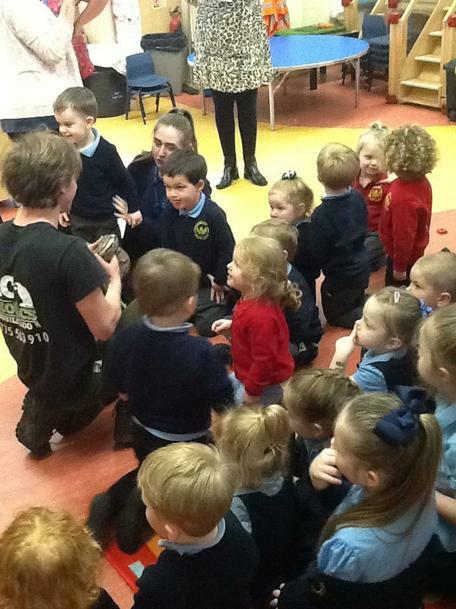 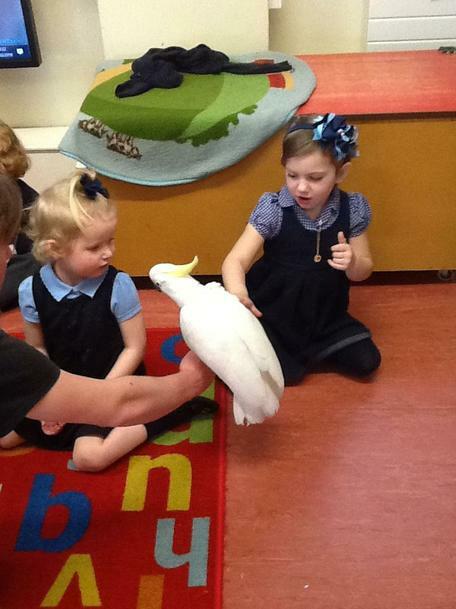 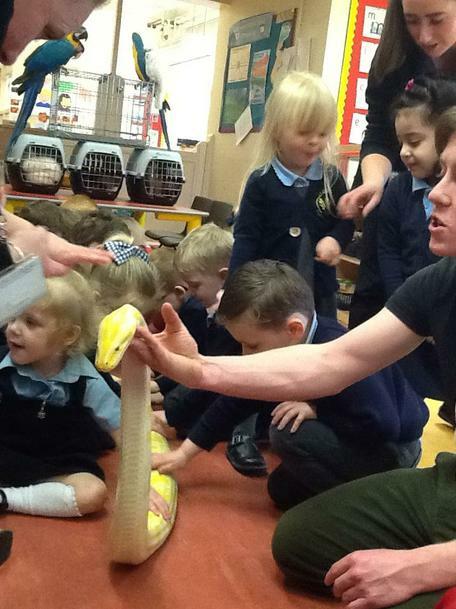 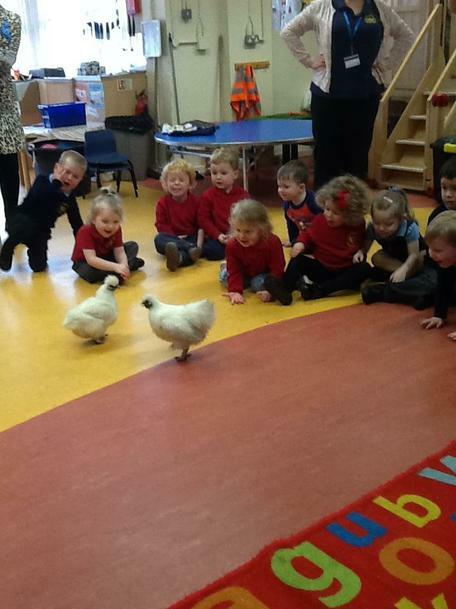 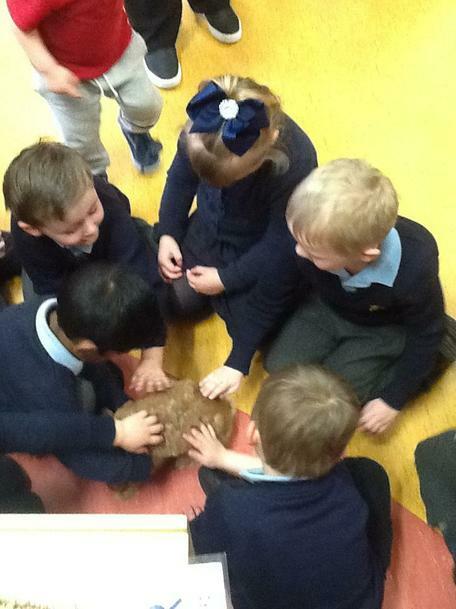 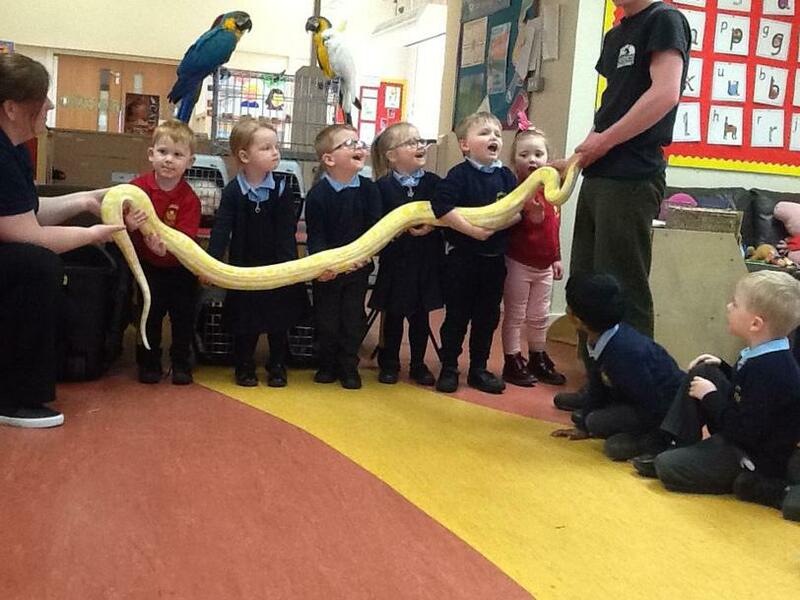 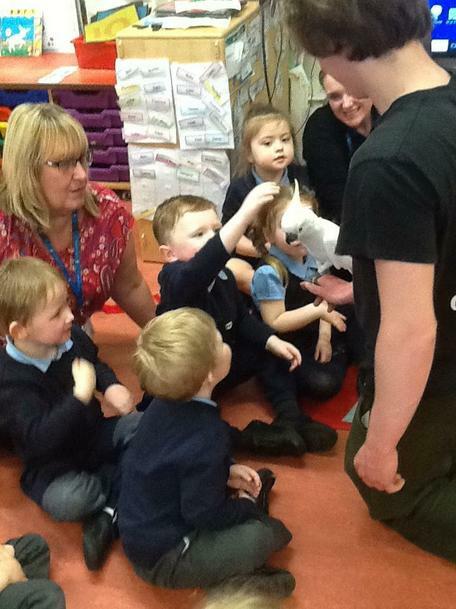 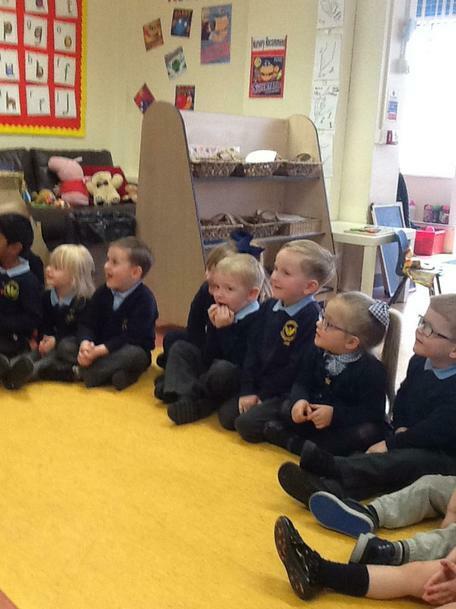 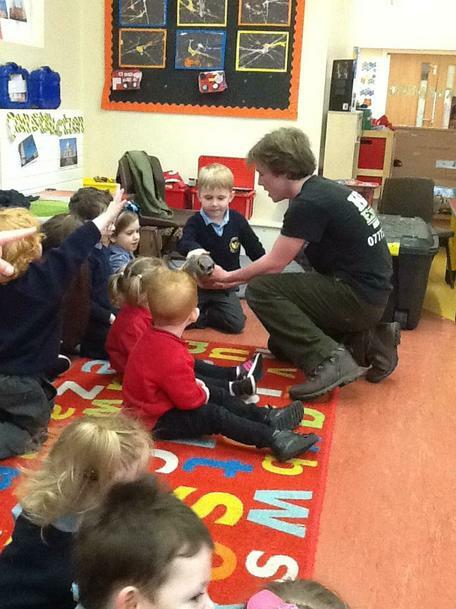 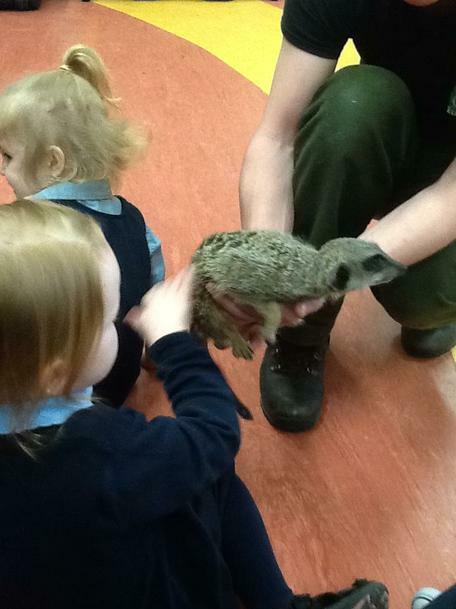 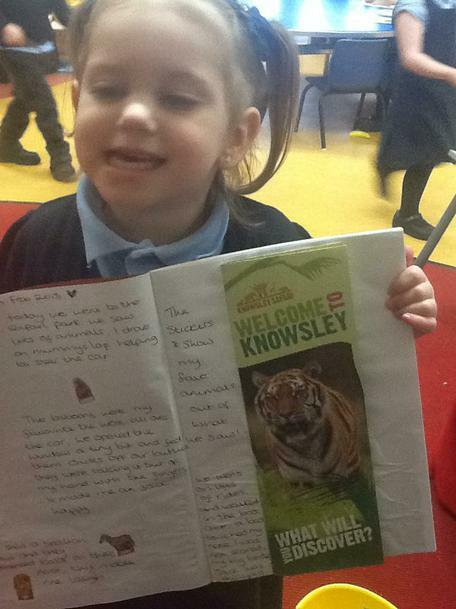 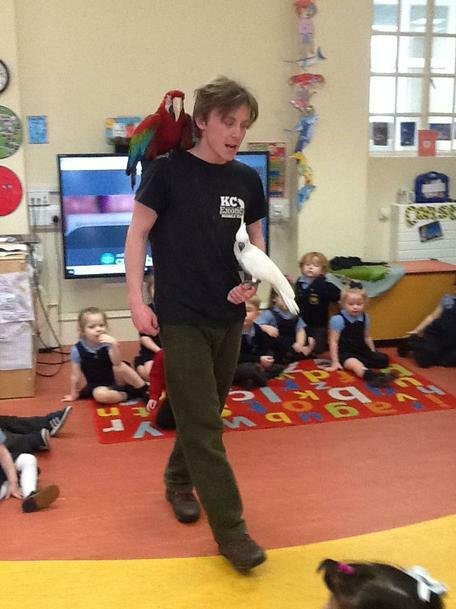 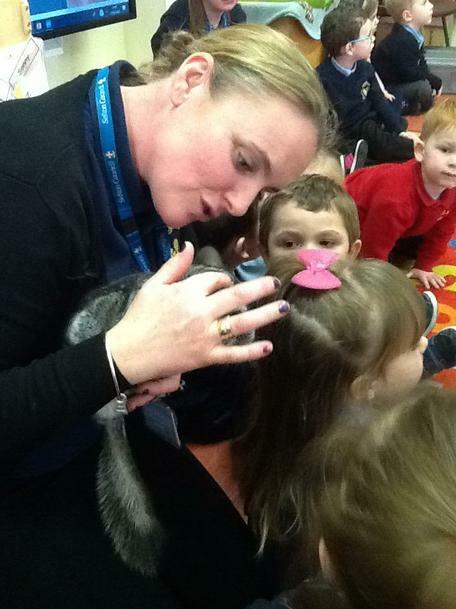 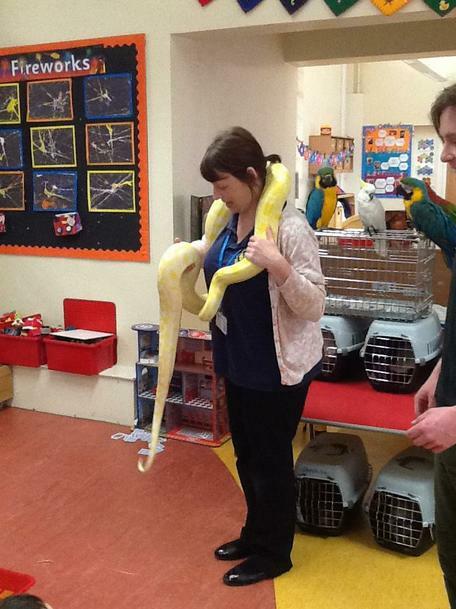 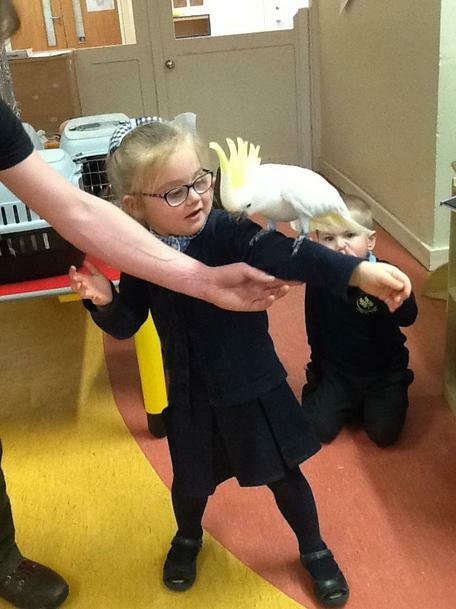 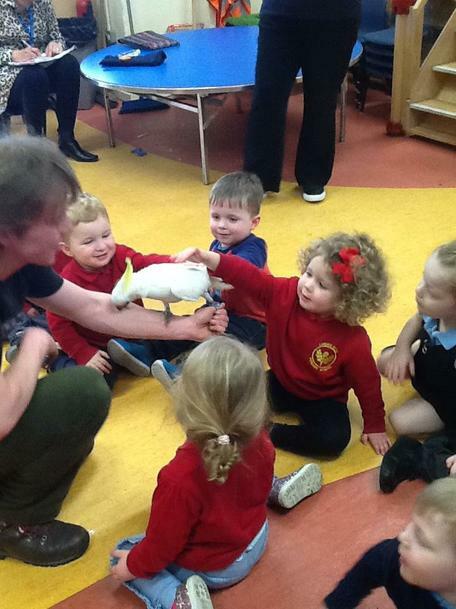 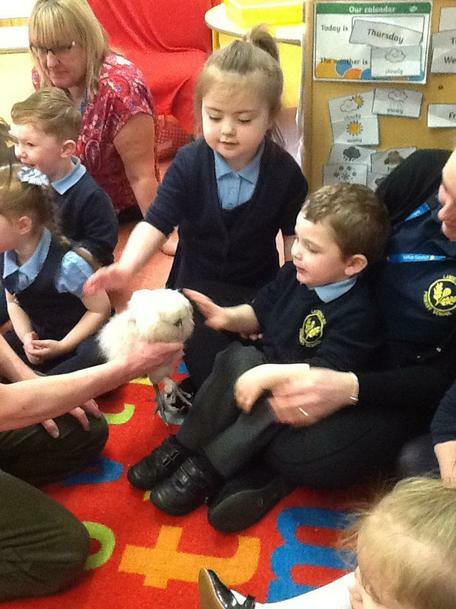 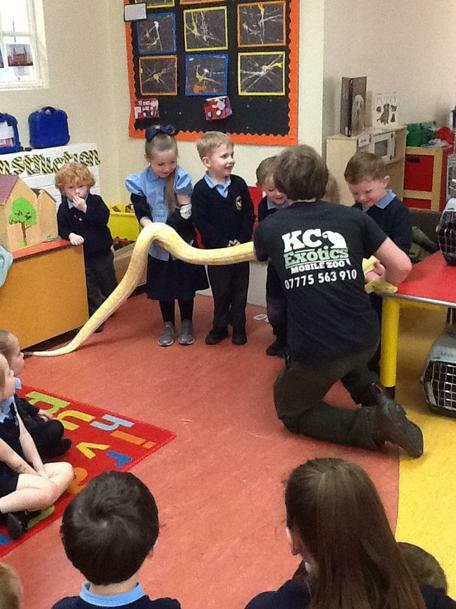 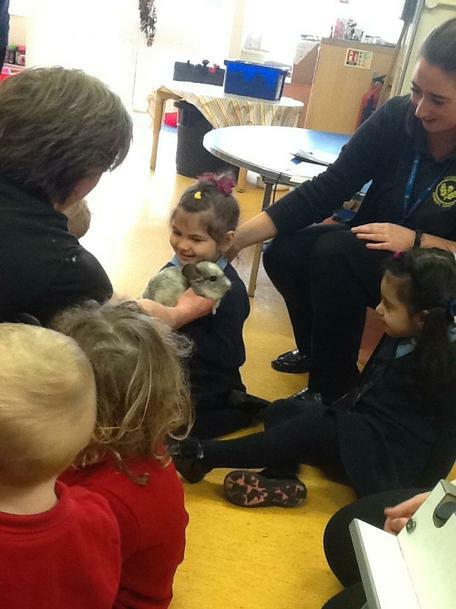 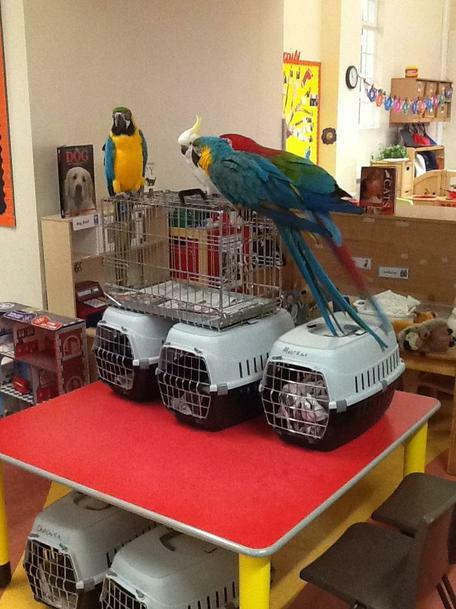 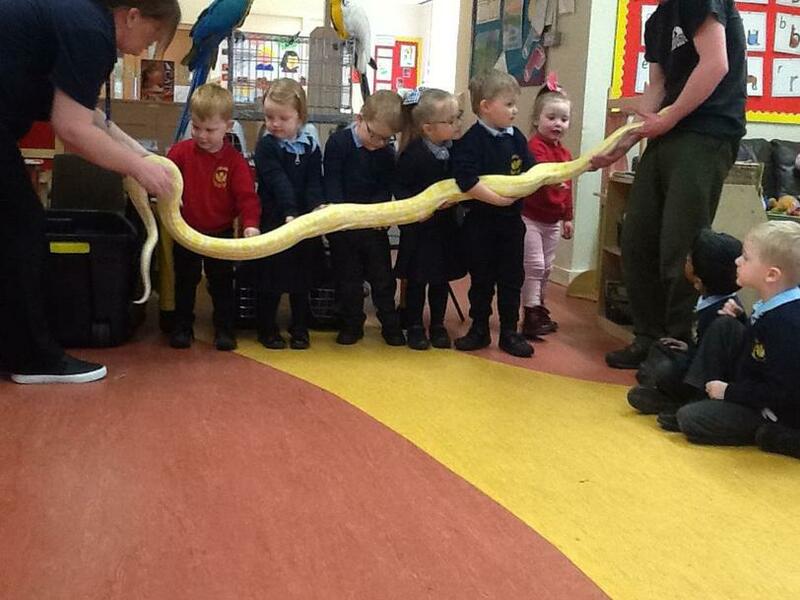 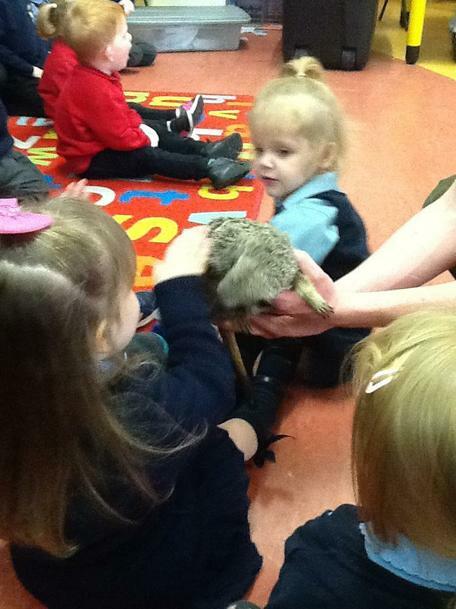 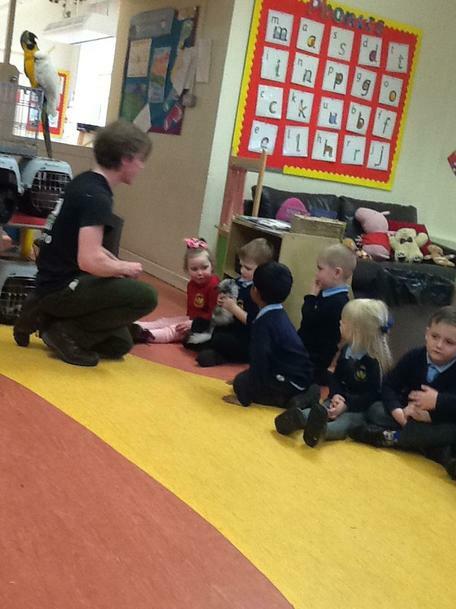 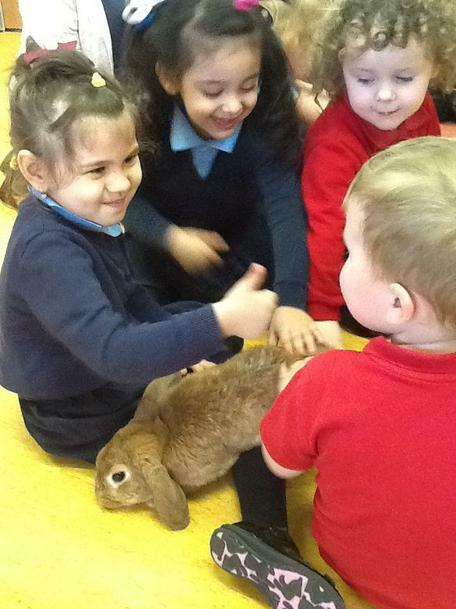 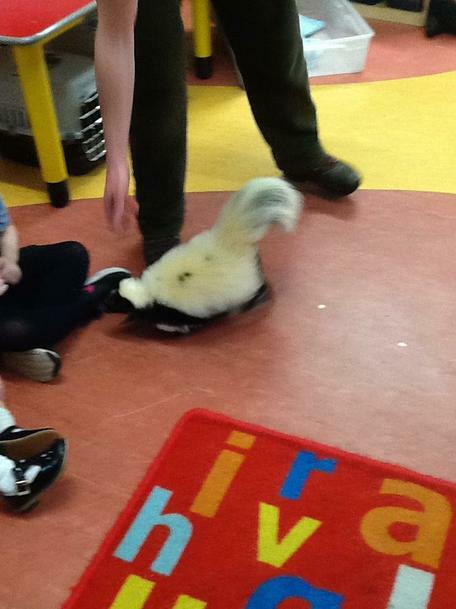 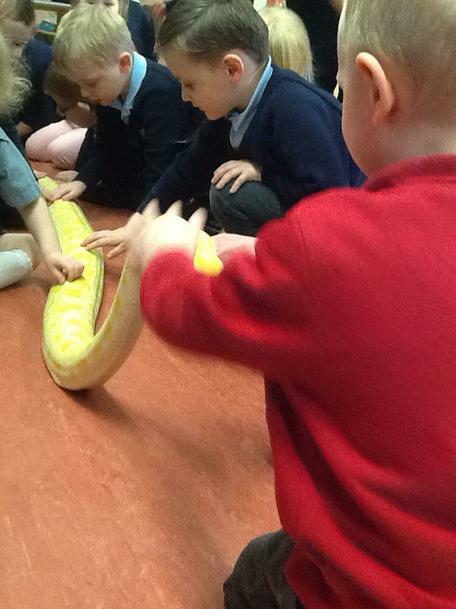 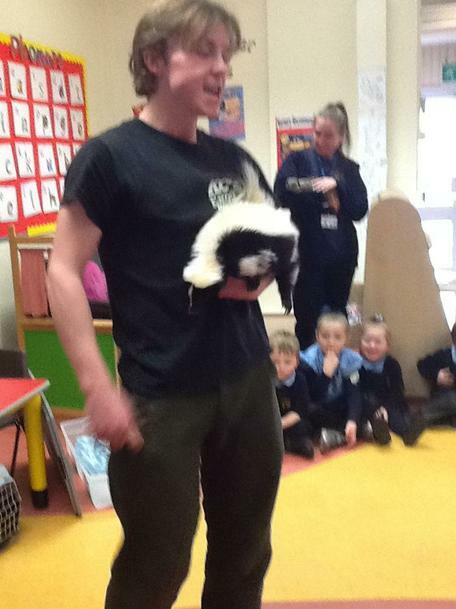 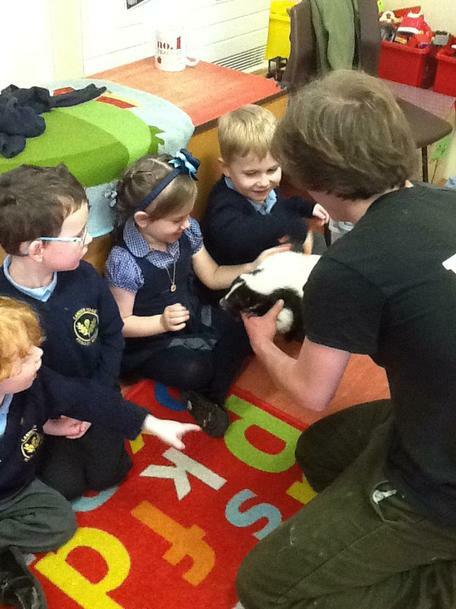 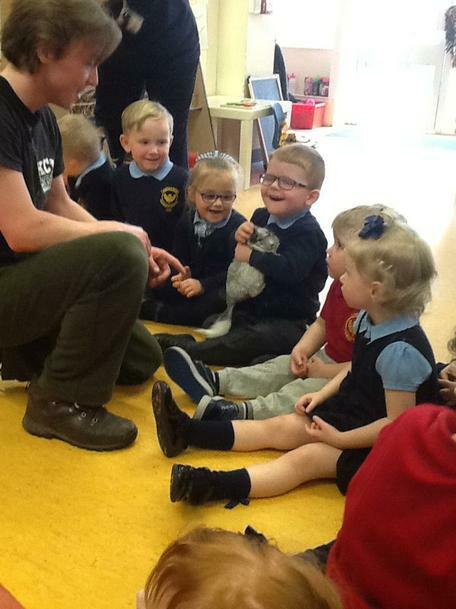 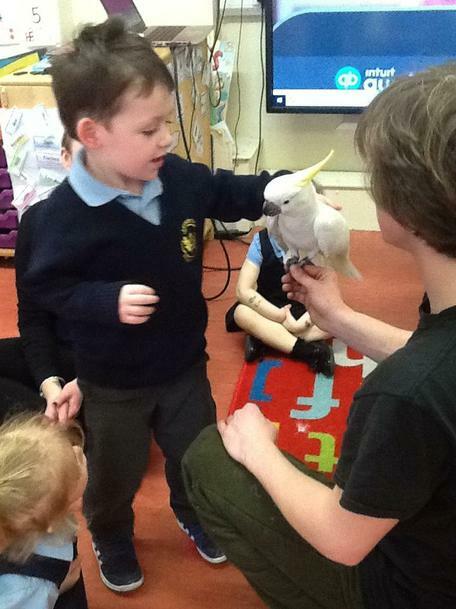 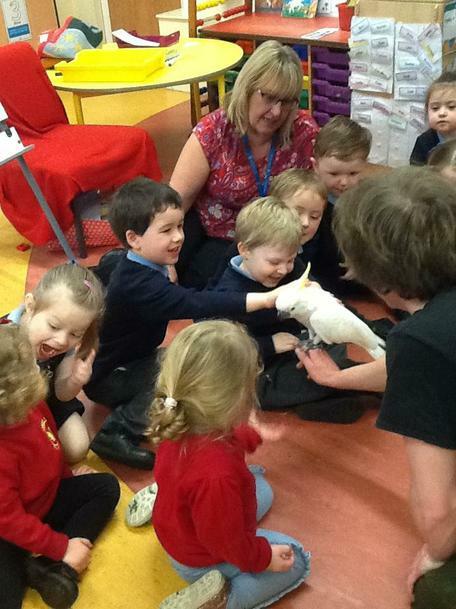 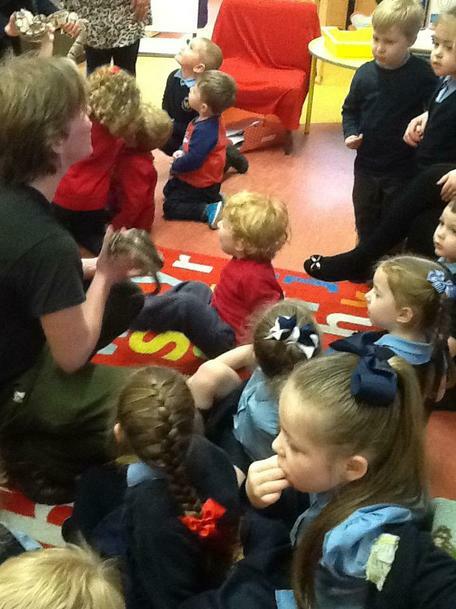 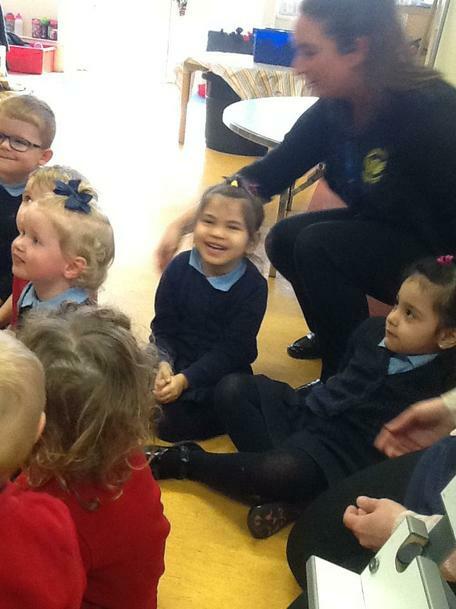 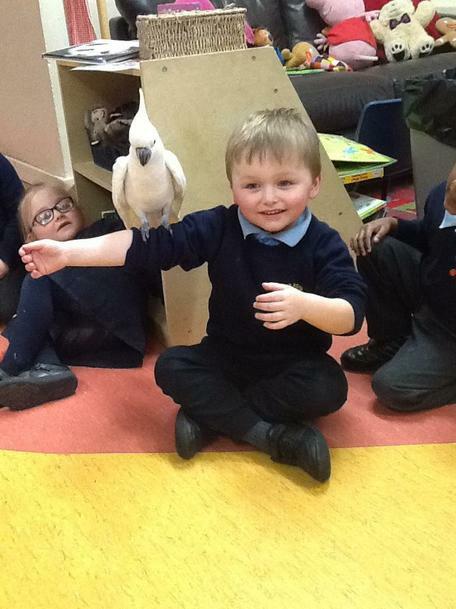 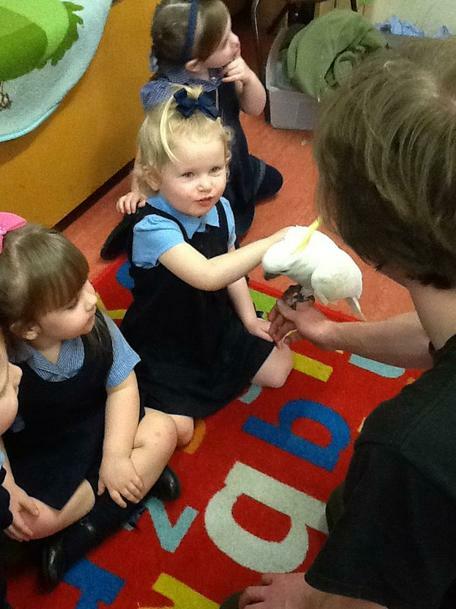 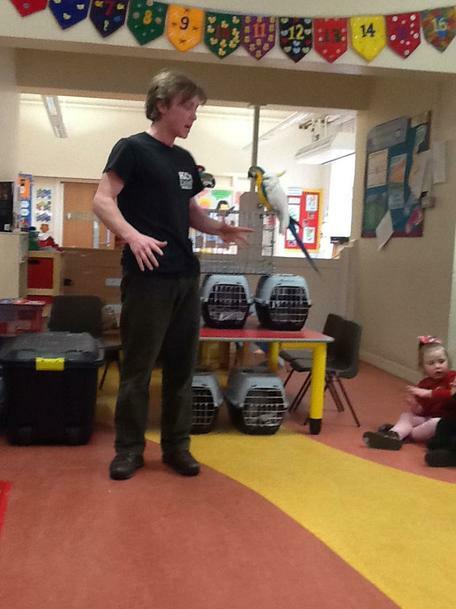 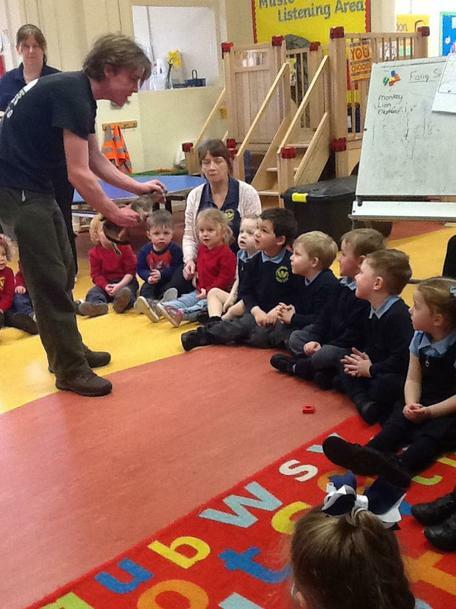 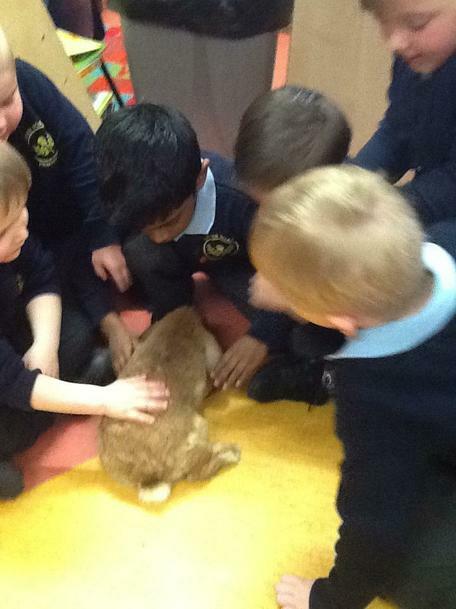 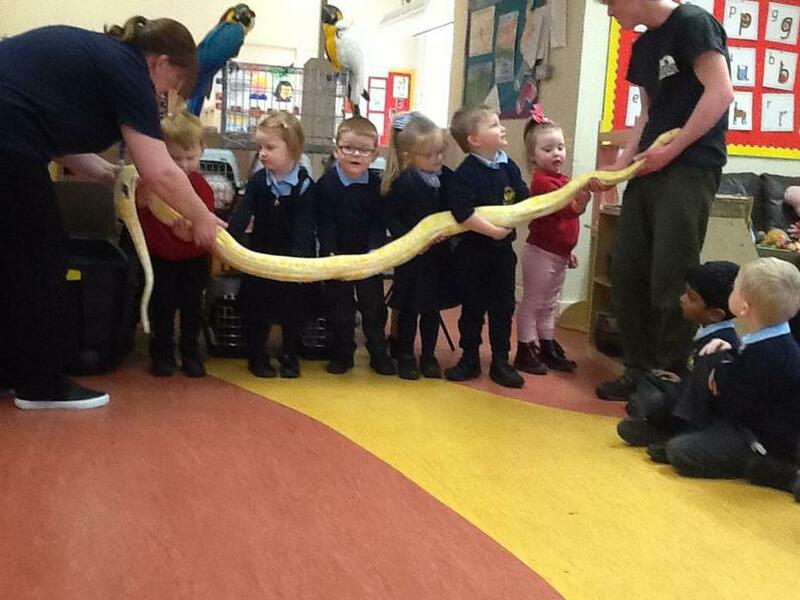 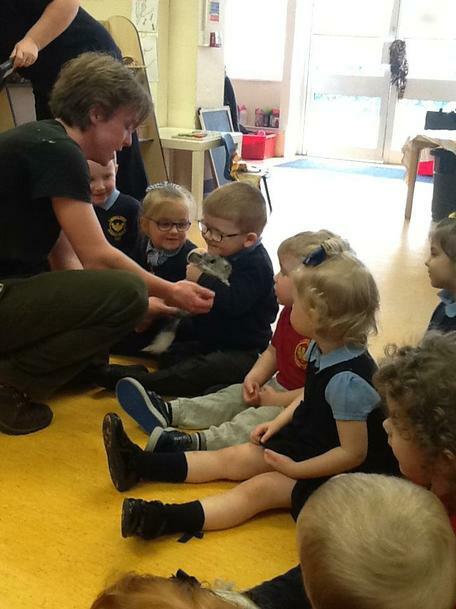 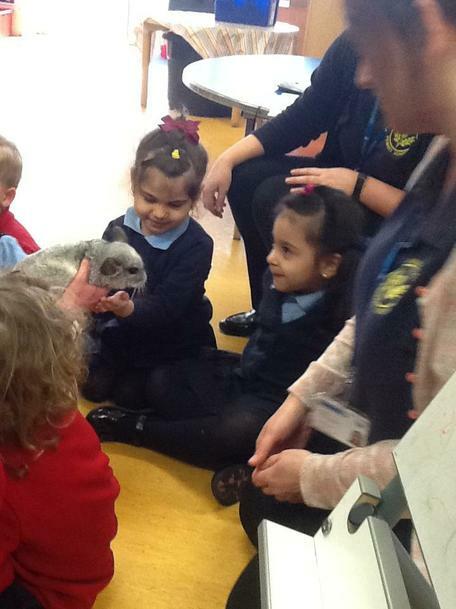 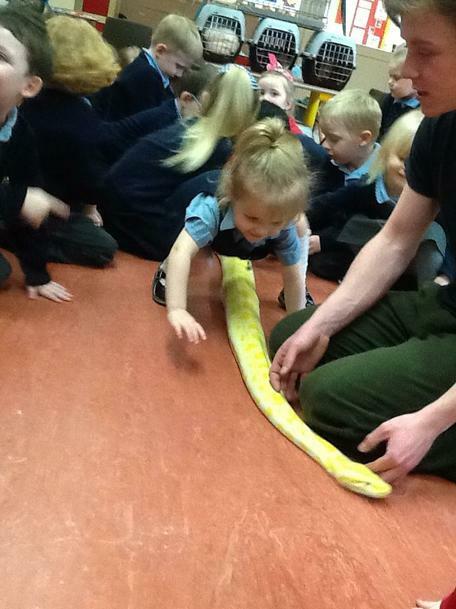 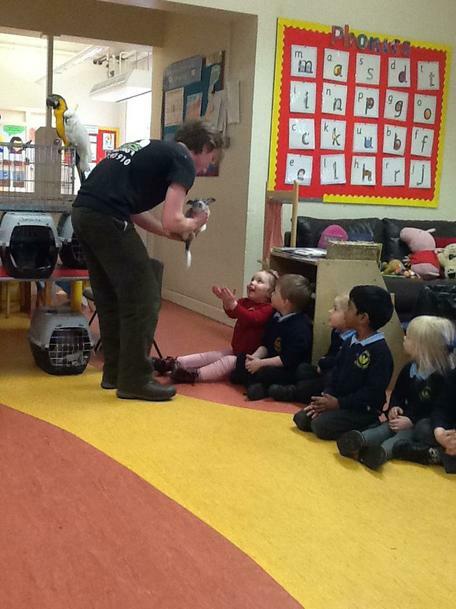 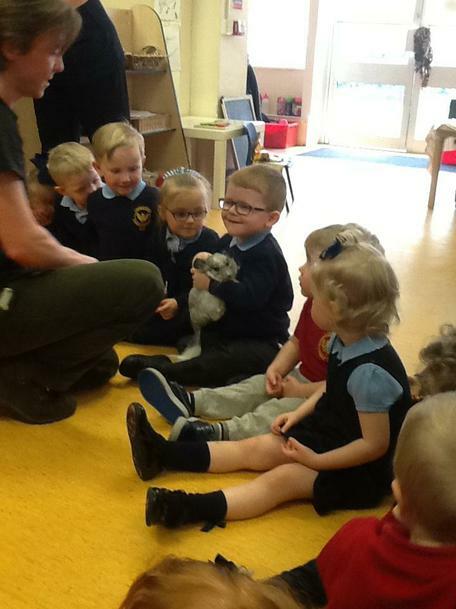 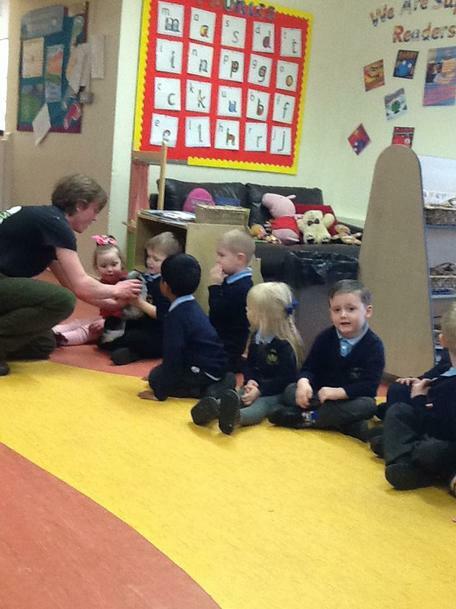 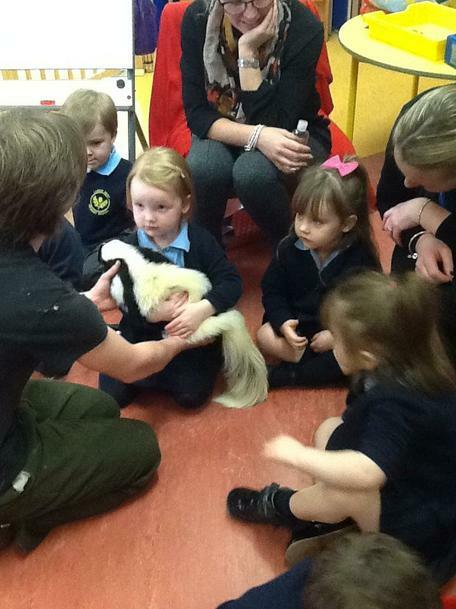 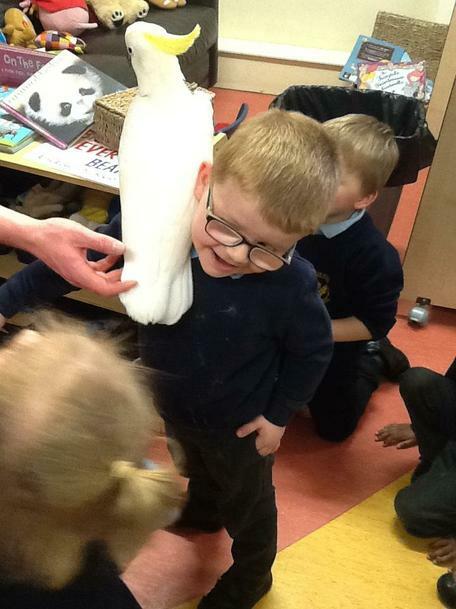 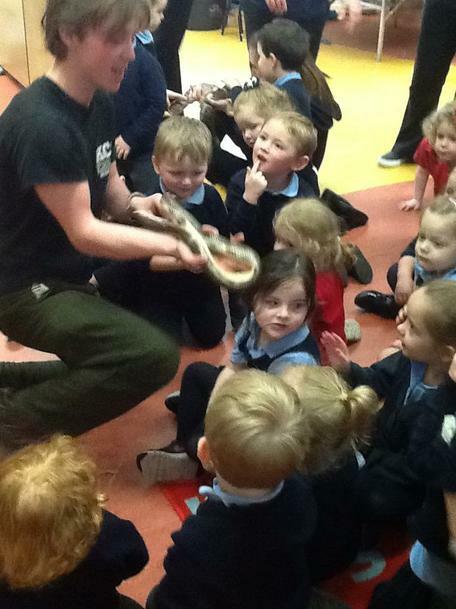 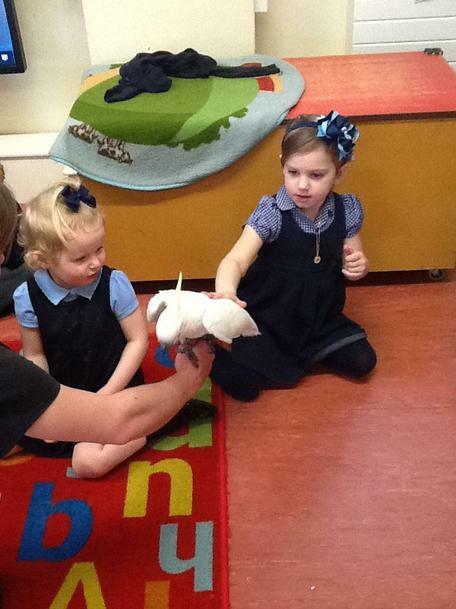 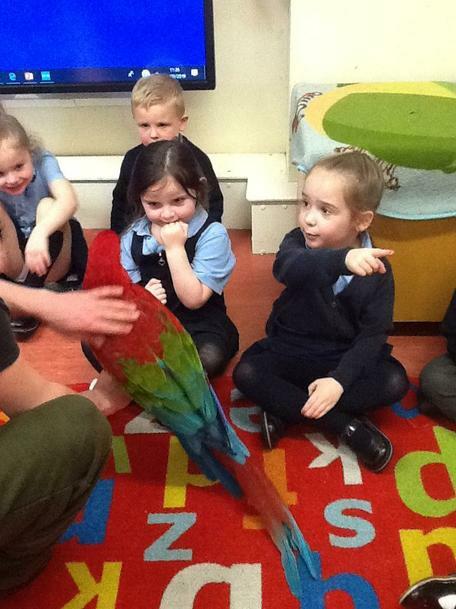 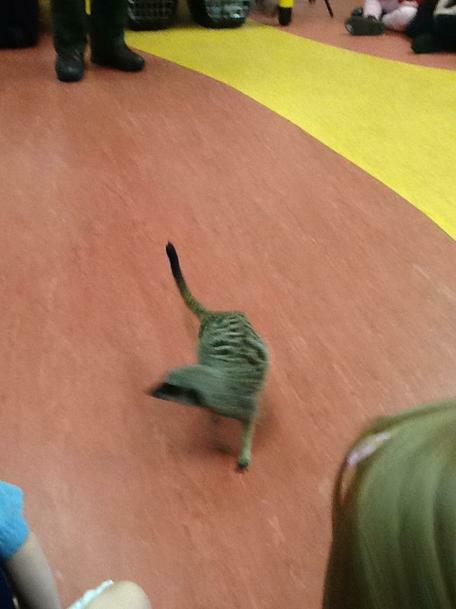 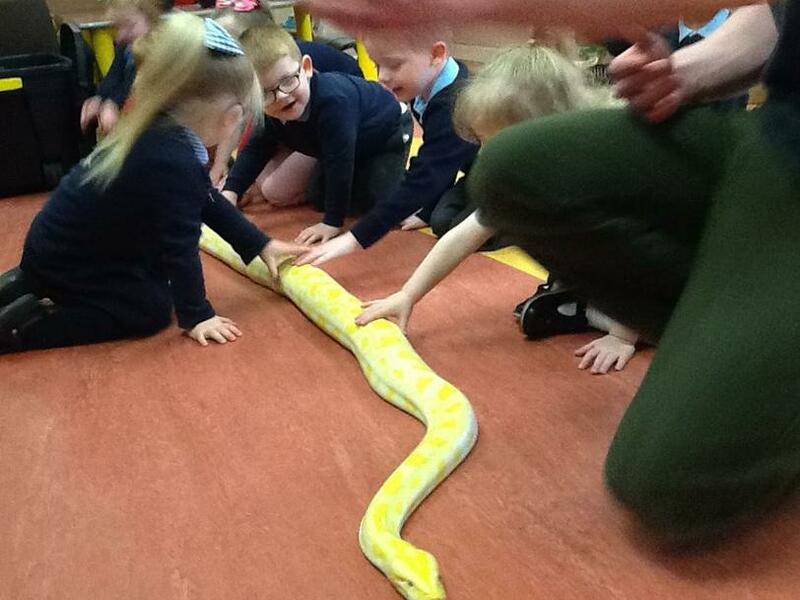 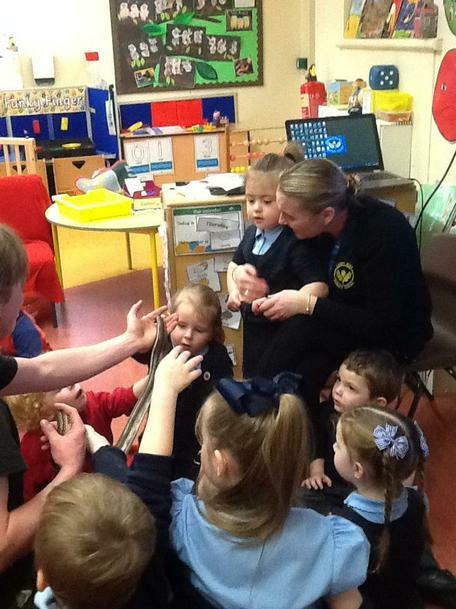 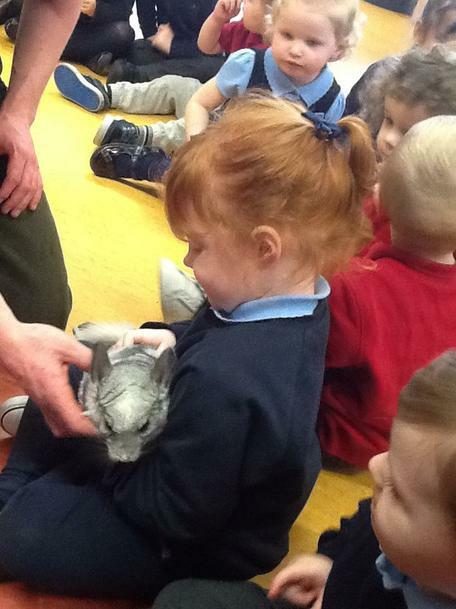 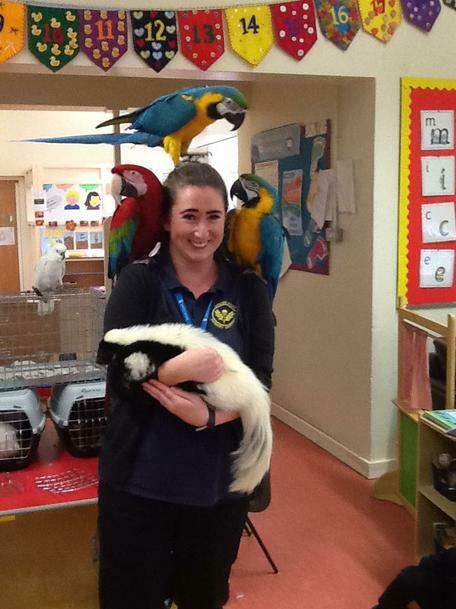 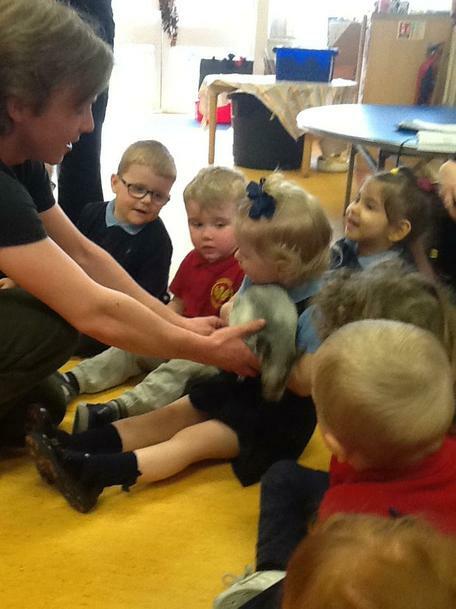 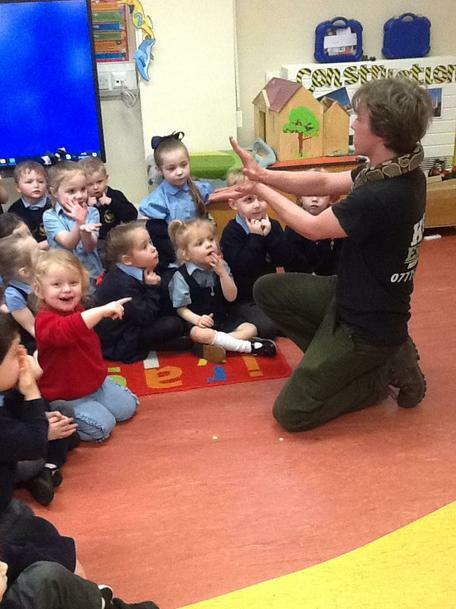 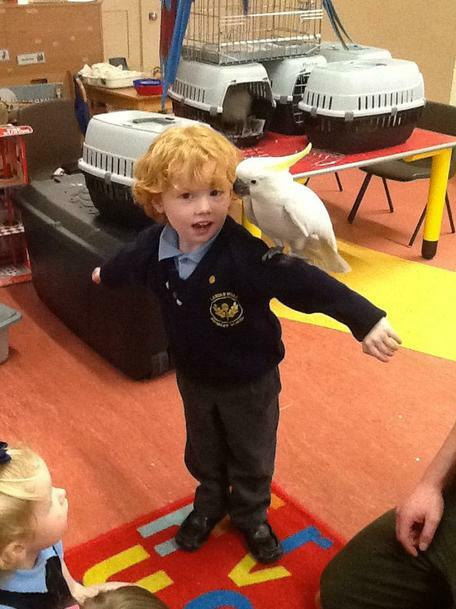 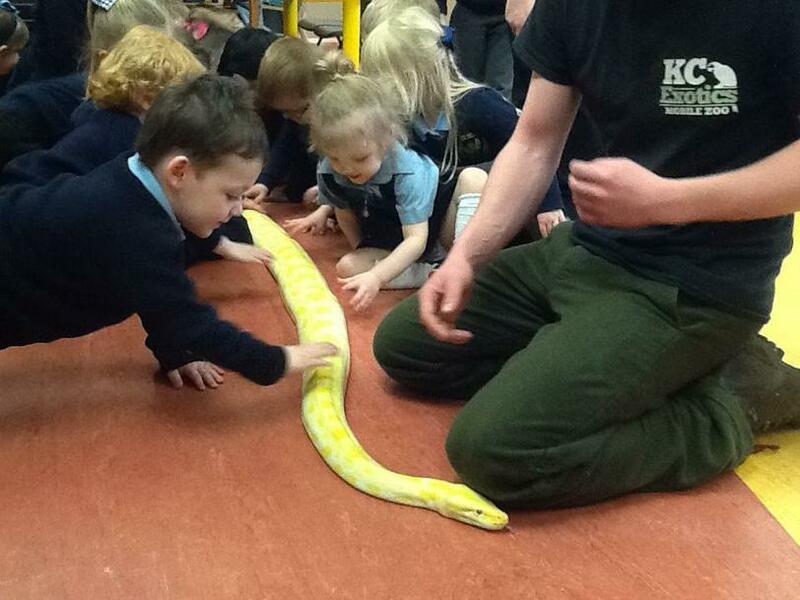 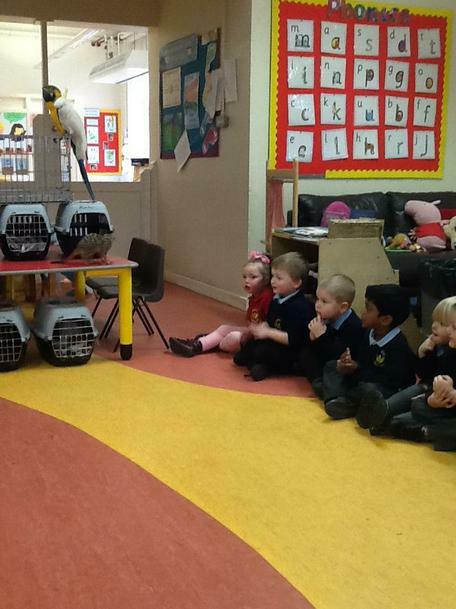 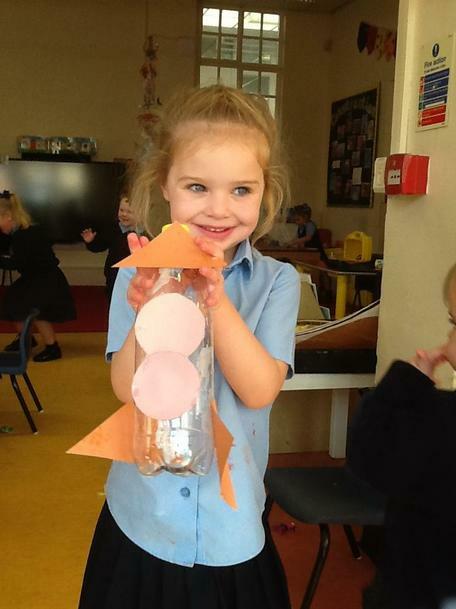 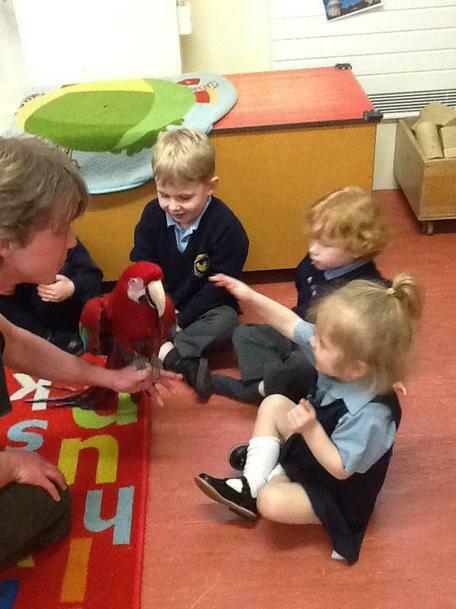 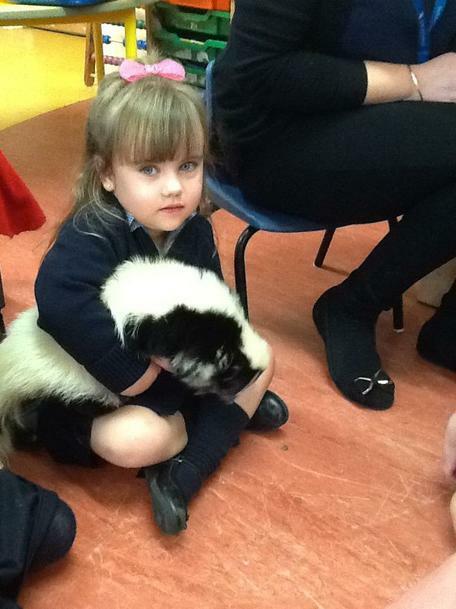 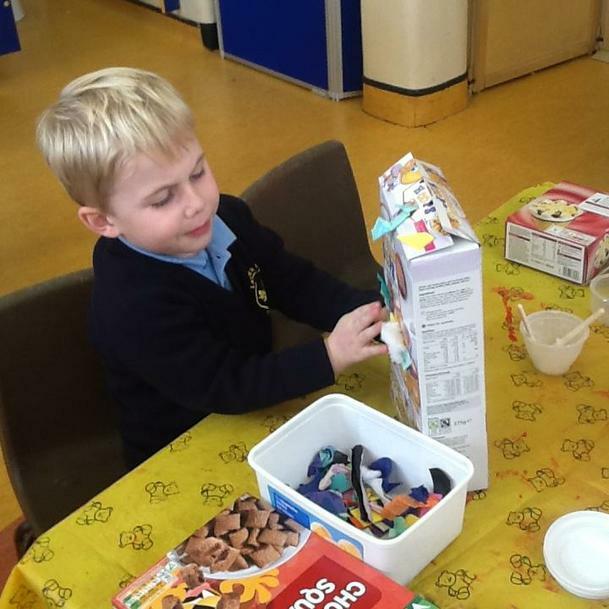 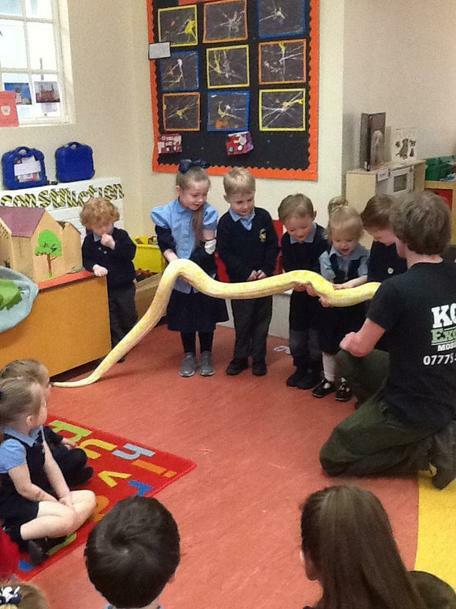 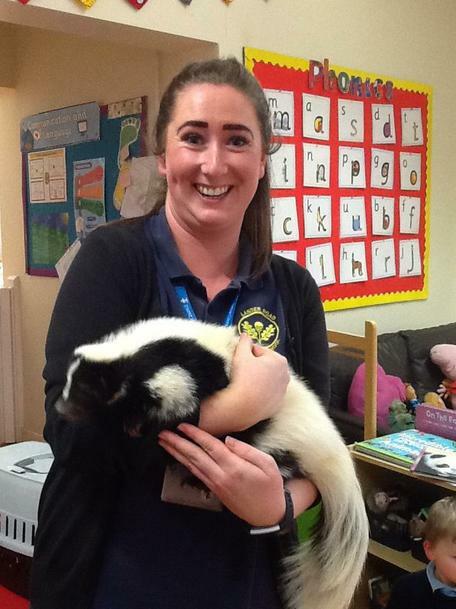 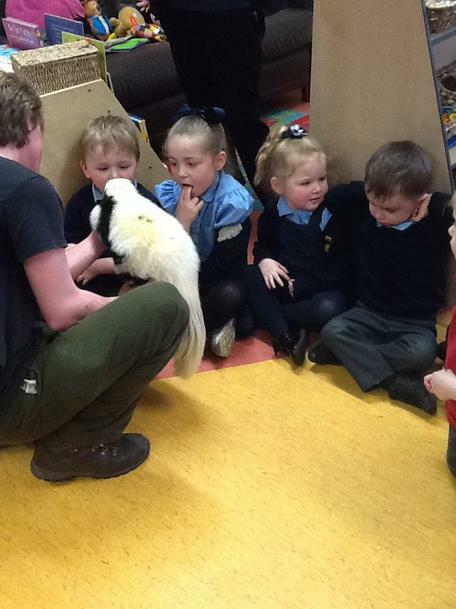 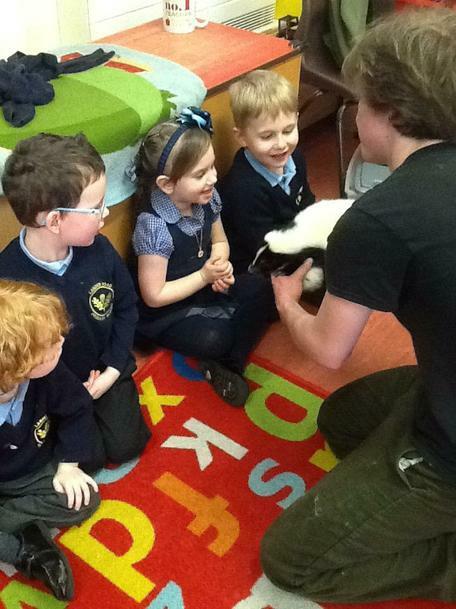 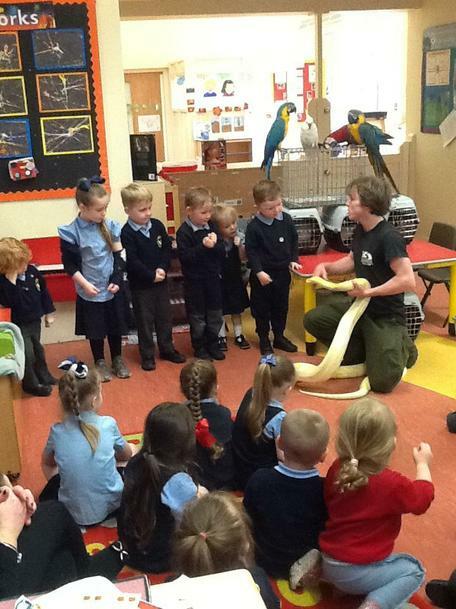 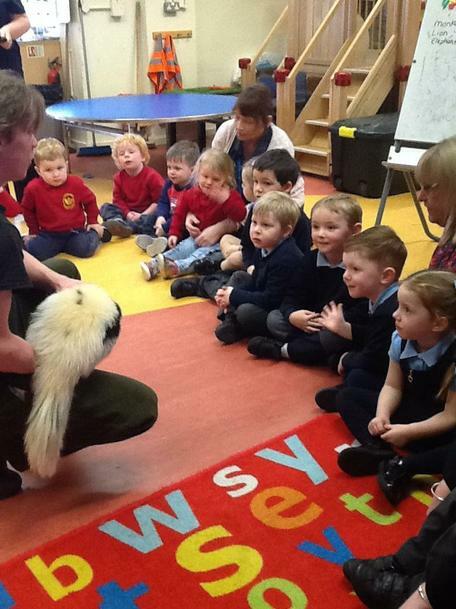 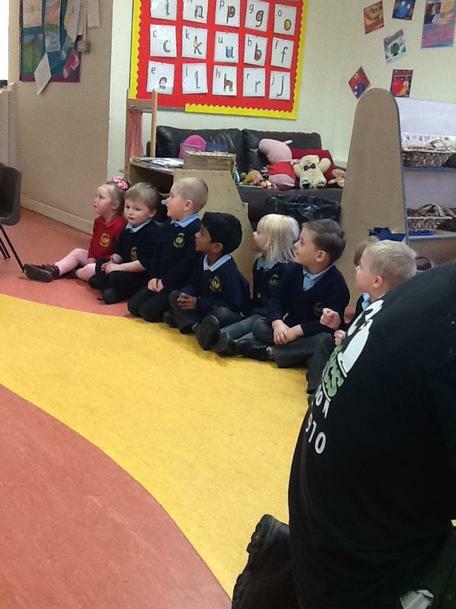 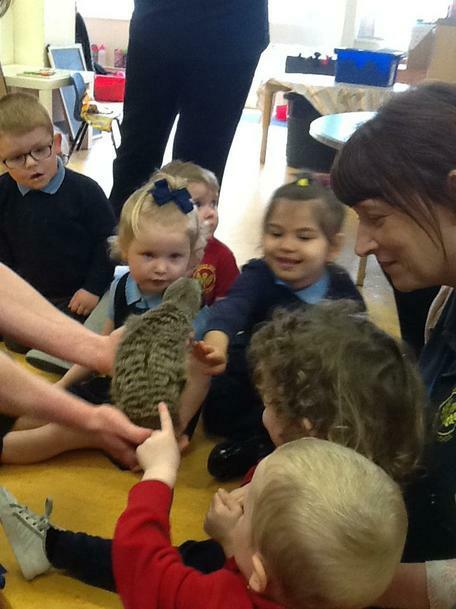 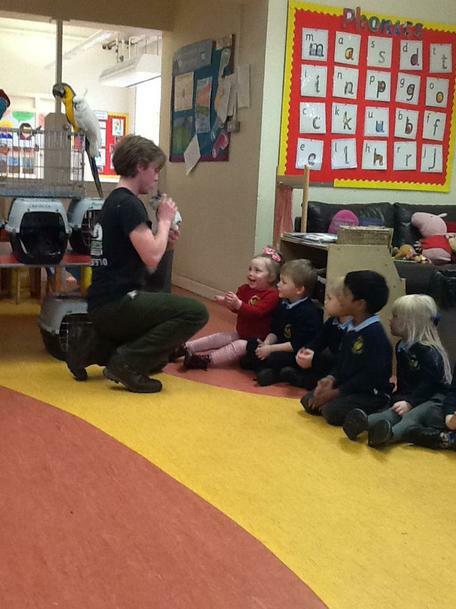 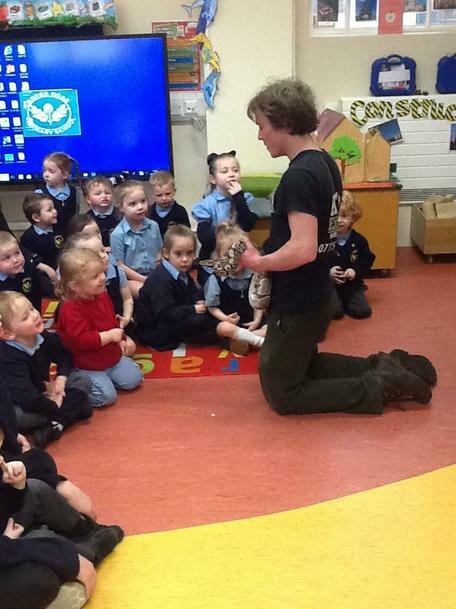 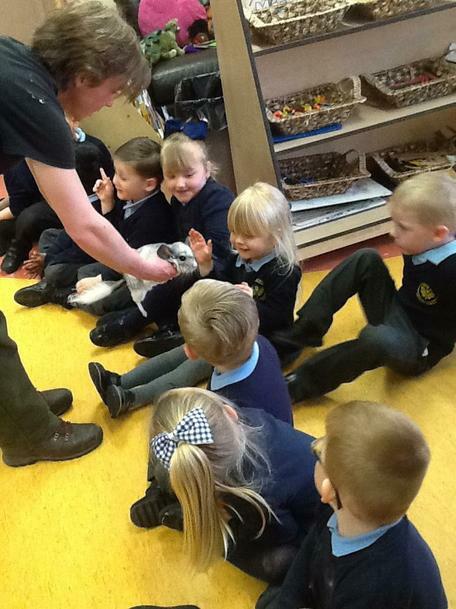 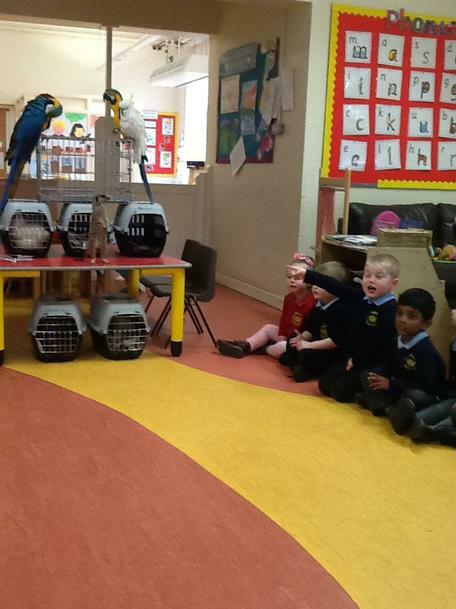 This term children in Nursery have been so enthused learning about many different animals including sea creatures, minibeasts, reptiles and wild animals. 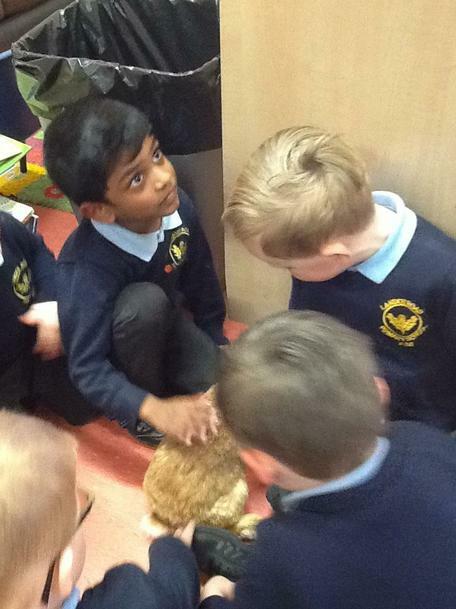 We can not only name many different types of animals but have also acquired lots of fantastic vocabulary to describe where they live, what they look like and how they move. 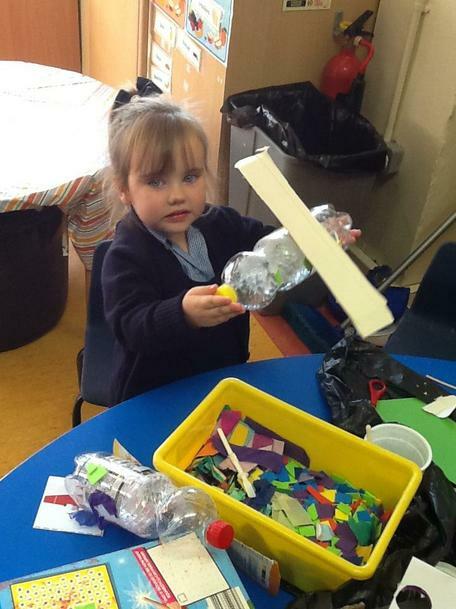 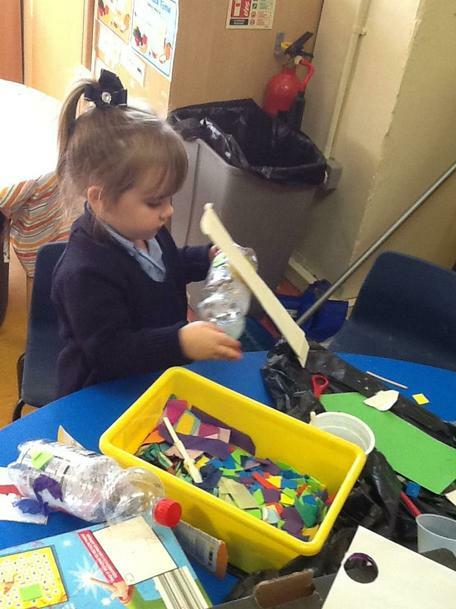 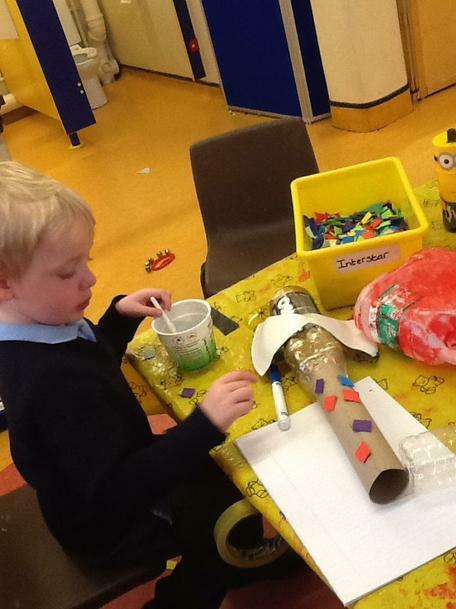 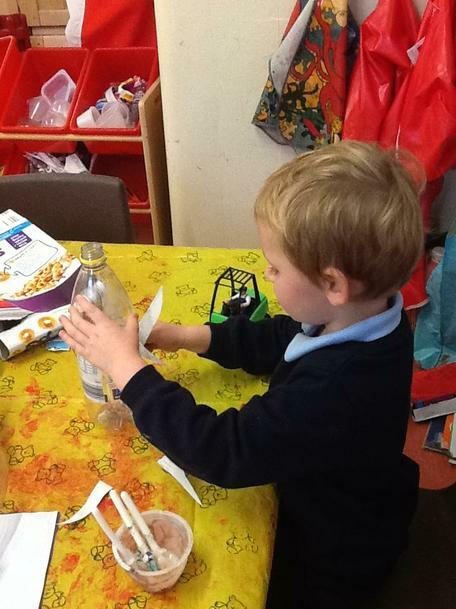 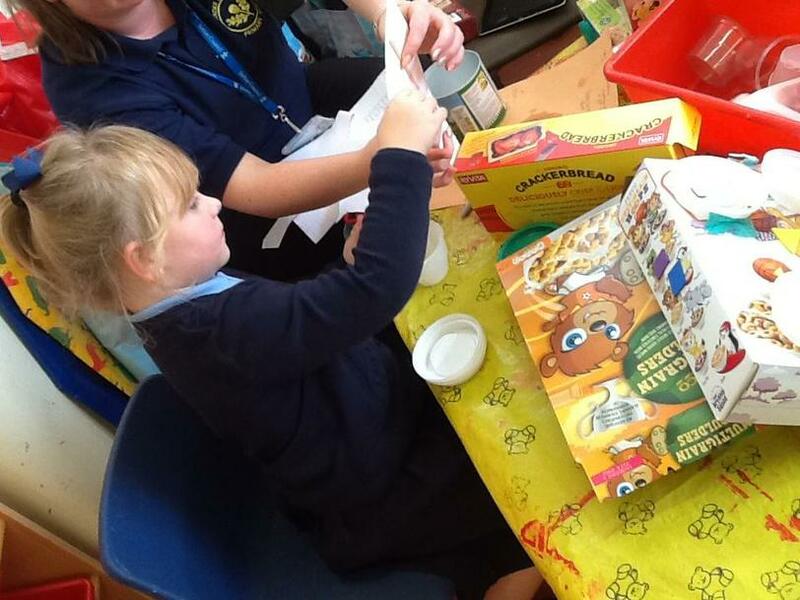 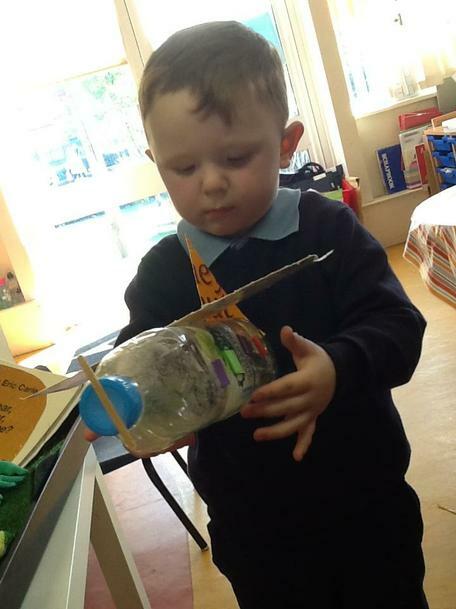 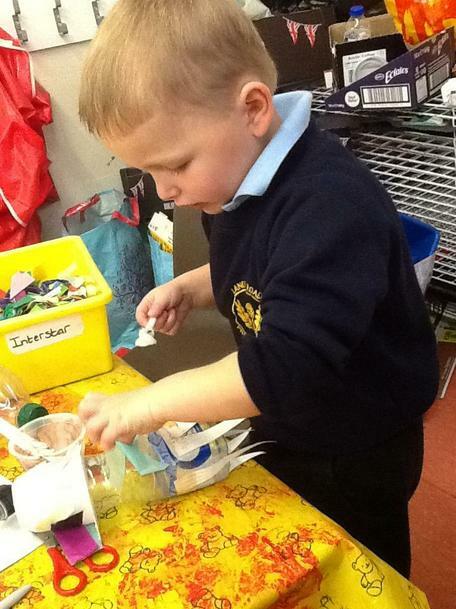 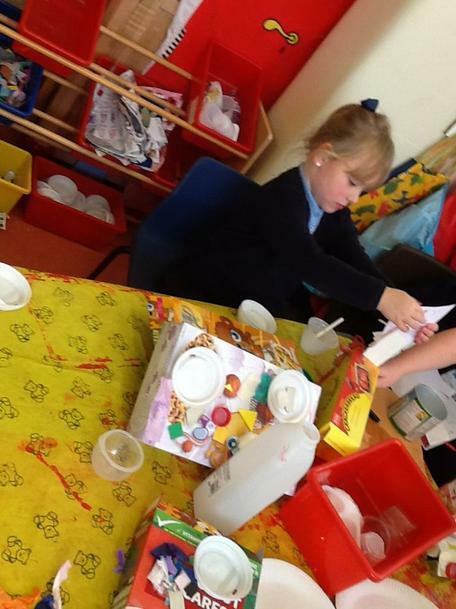 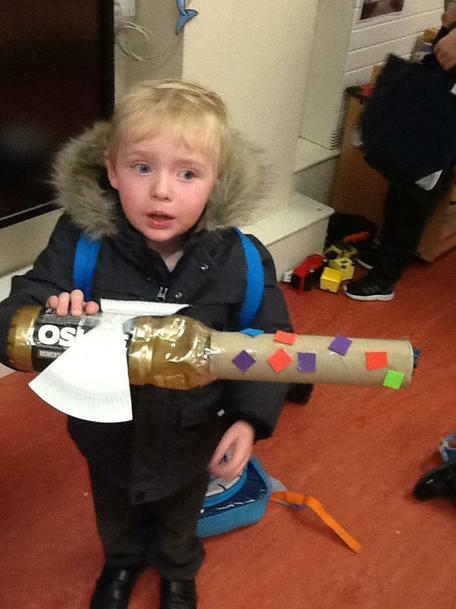 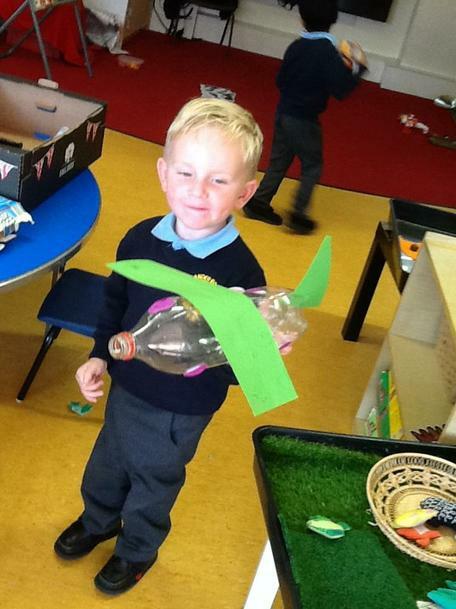 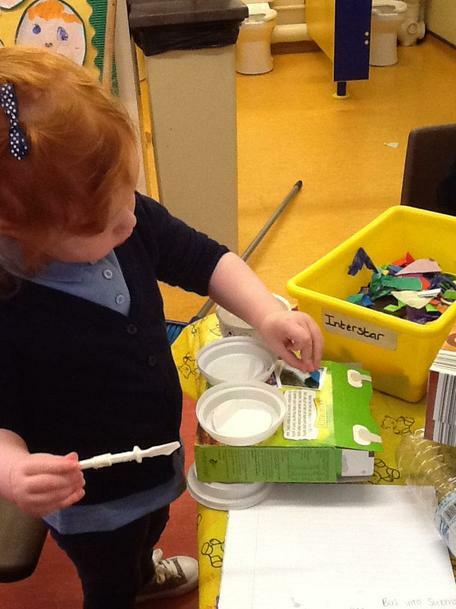 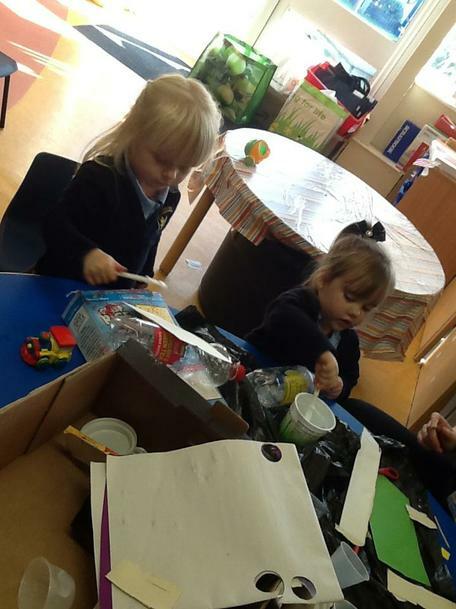 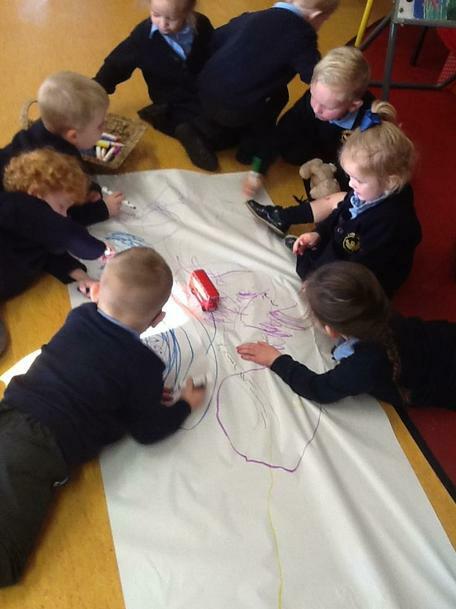 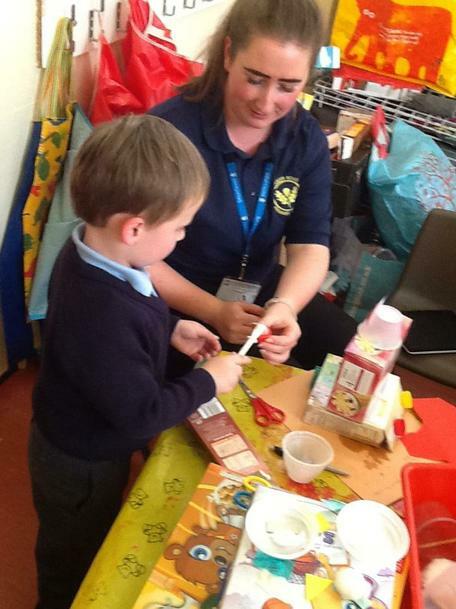 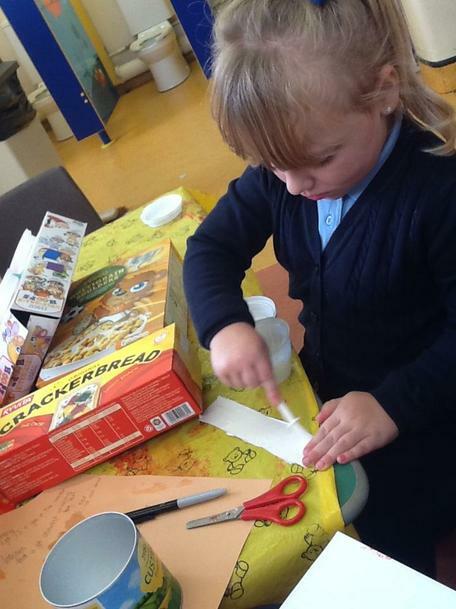 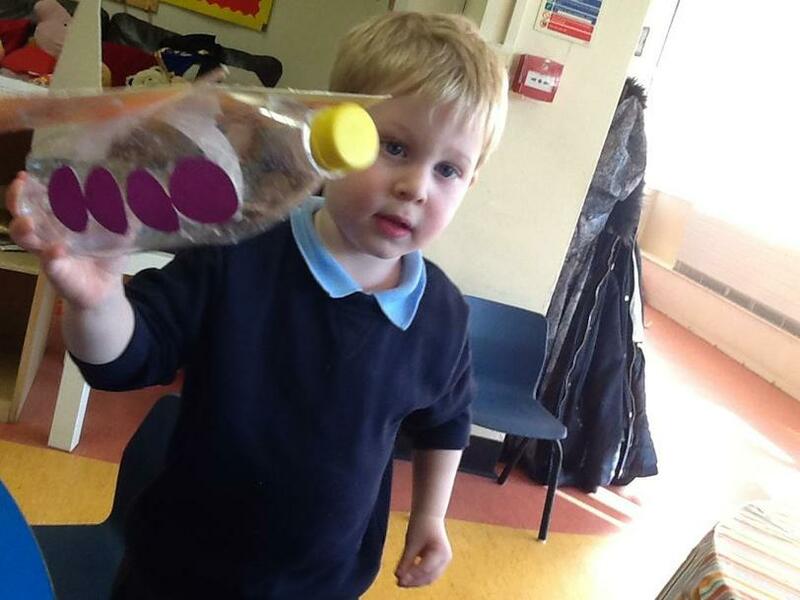 Children in Nursery have been trying hard to develop new skills as part of our Enabling Enterprise topic. 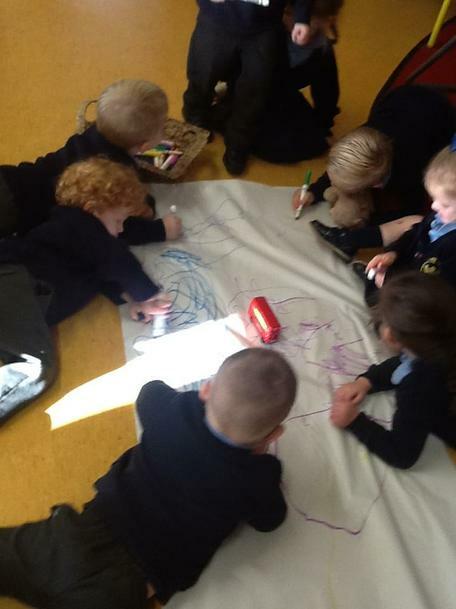 We have been trying hard to listen to others ideas and learning how to work better in a team. 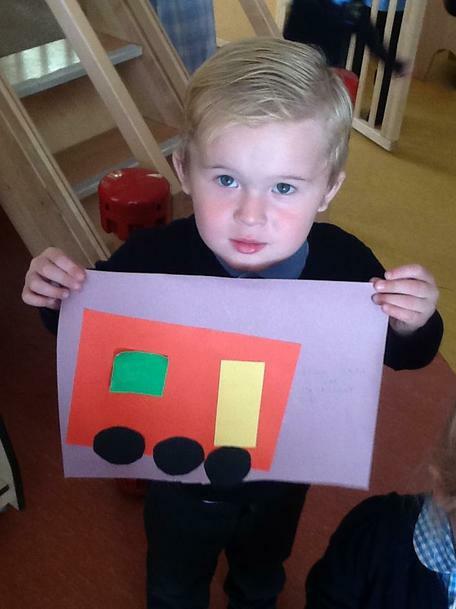 During the week we learned lots about various transport and read the story 'The Naughty Bus'. 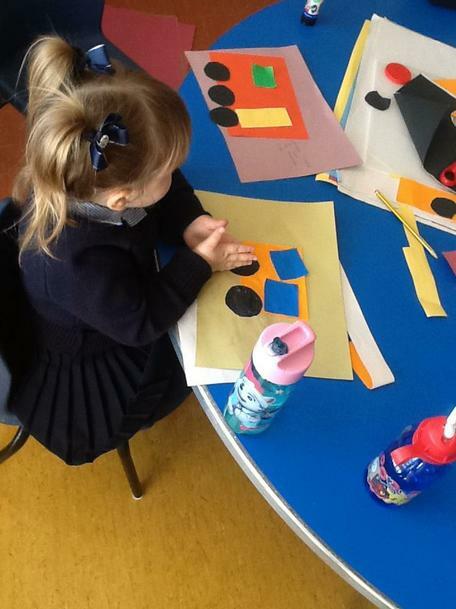 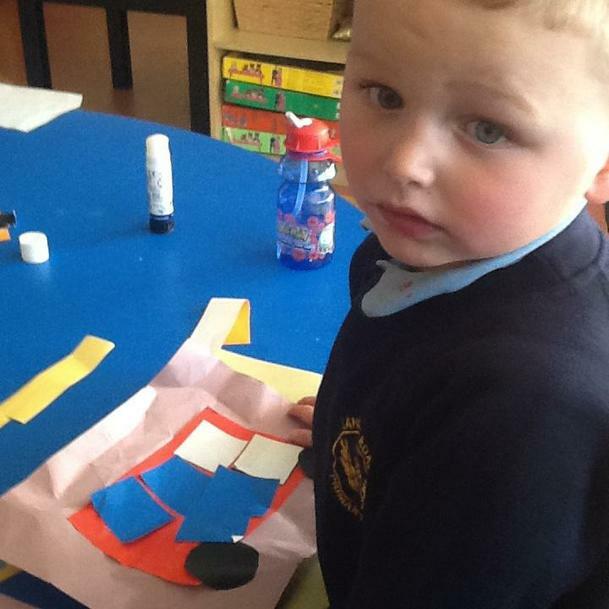 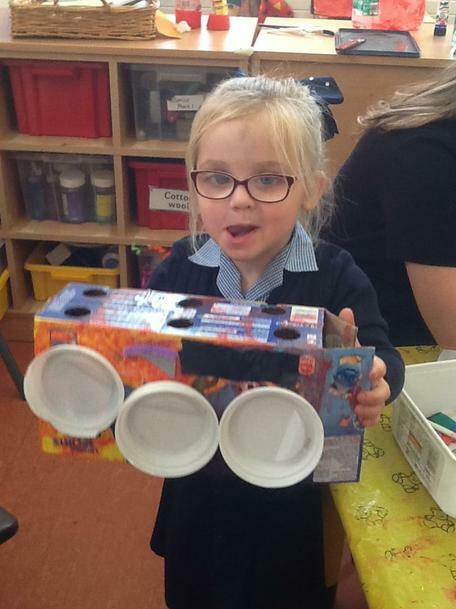 We loved using shapes to make vehicles and even created our own bus in the garden,thinking of exciting places to go writing even destinations on tickets. 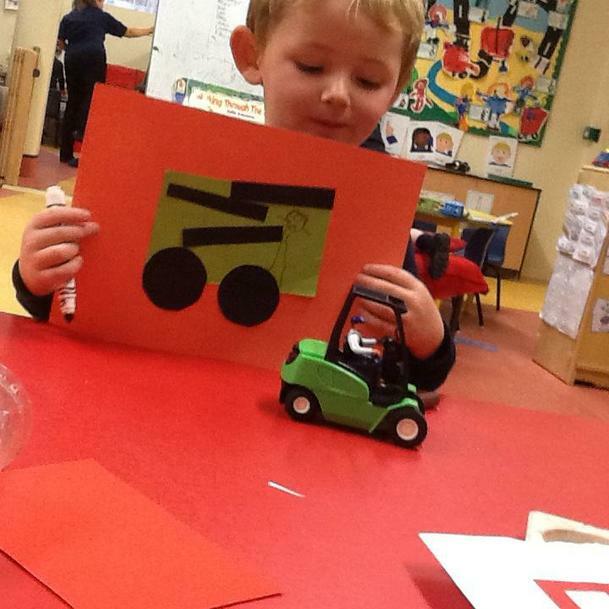 Before we made our vehicles, we decided within our teams what environments we wanted to build a vehicle for. 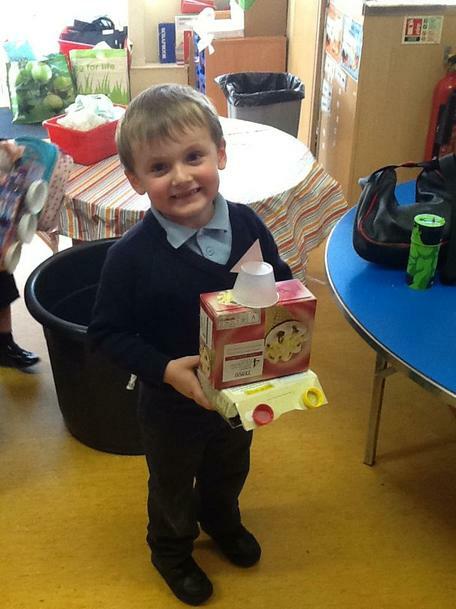 Some teams decided to build vehicles for the air whilst others chose to create vehicles for the sea. 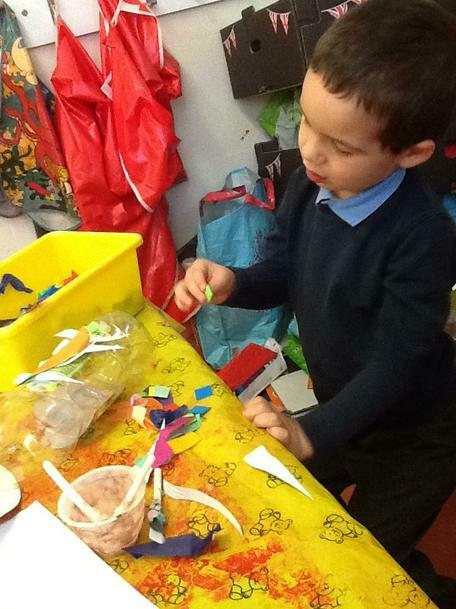 Take a look at our photographs of all some of the children's accomplishments! 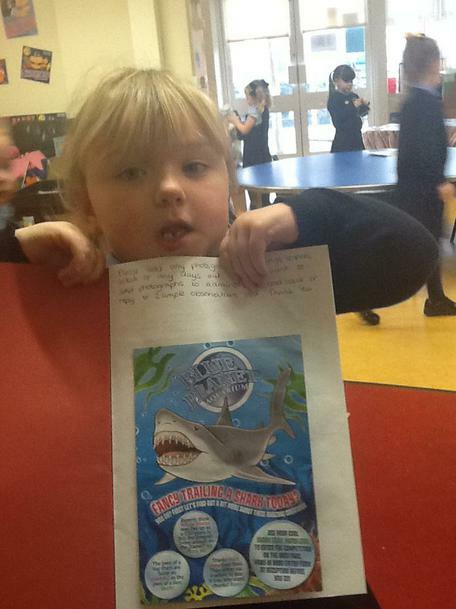 Duirng half term holidays children will bring home their red home link book. 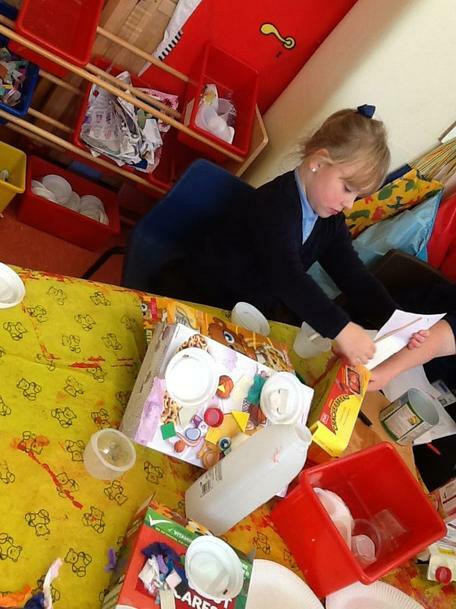 We use these books to help generate language during discussions about their experiences during half term. 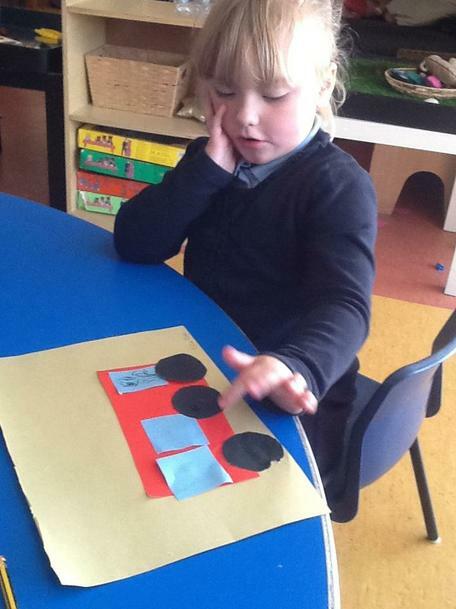 If you could just fill one page with something that your child has experienced and possibly add some souvenirs e.g. 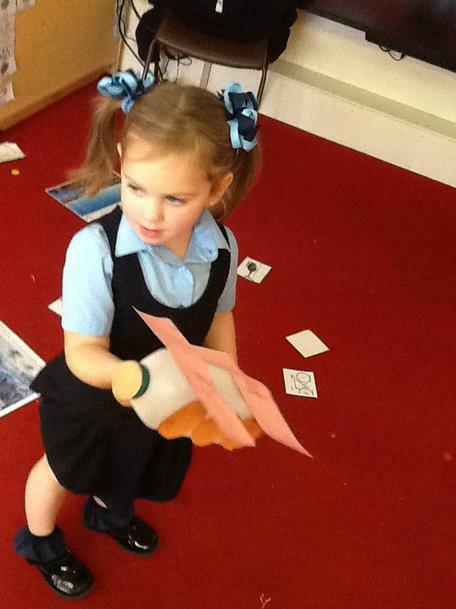 A bus ticket, a leaf from the park, a map, a photograph that they would like to talk about.